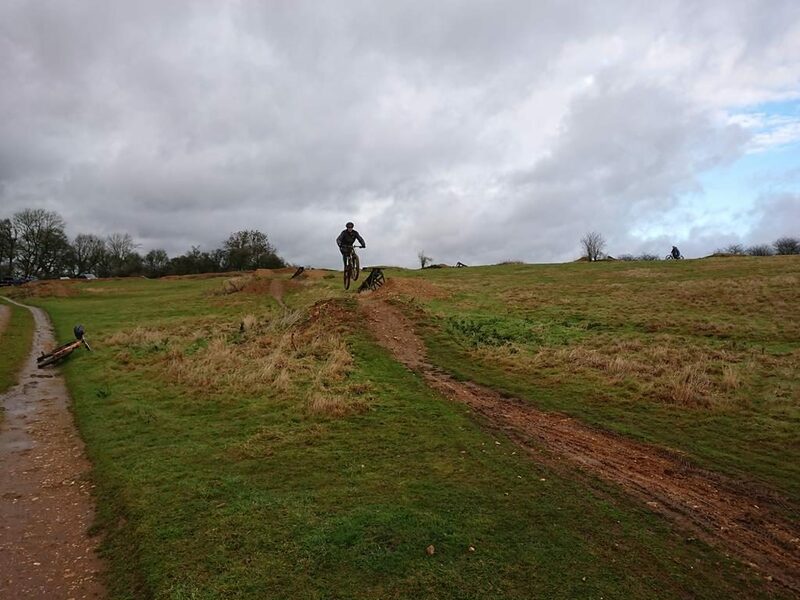 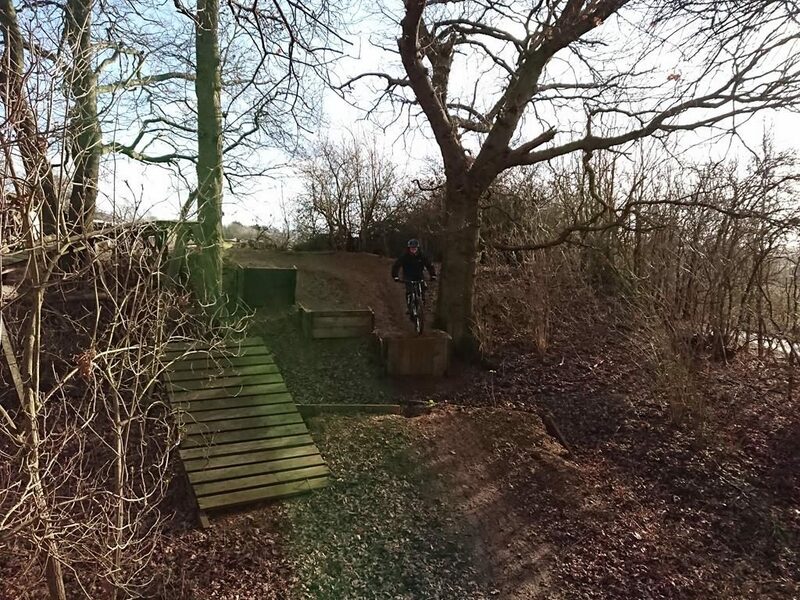 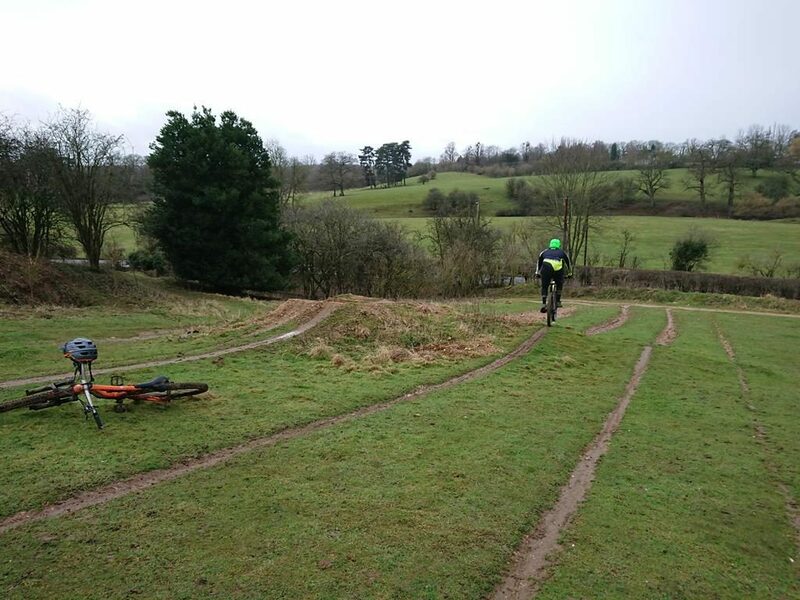 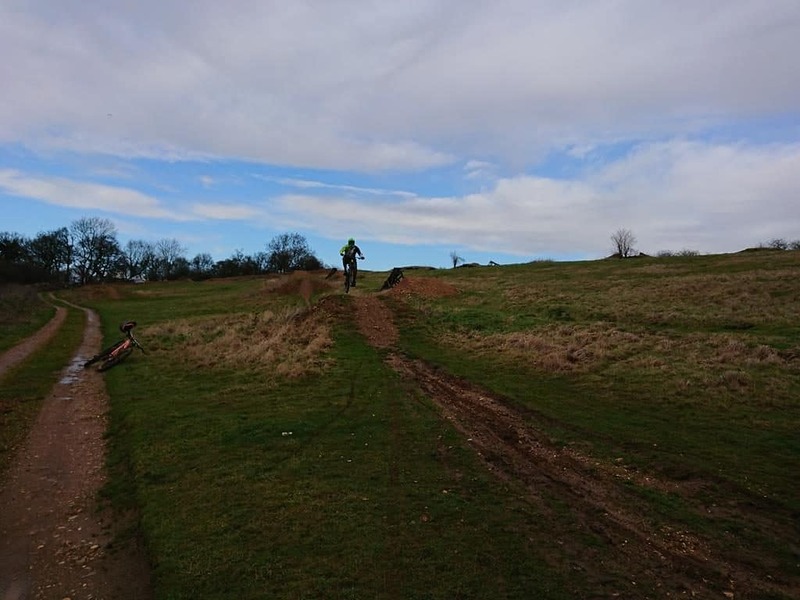 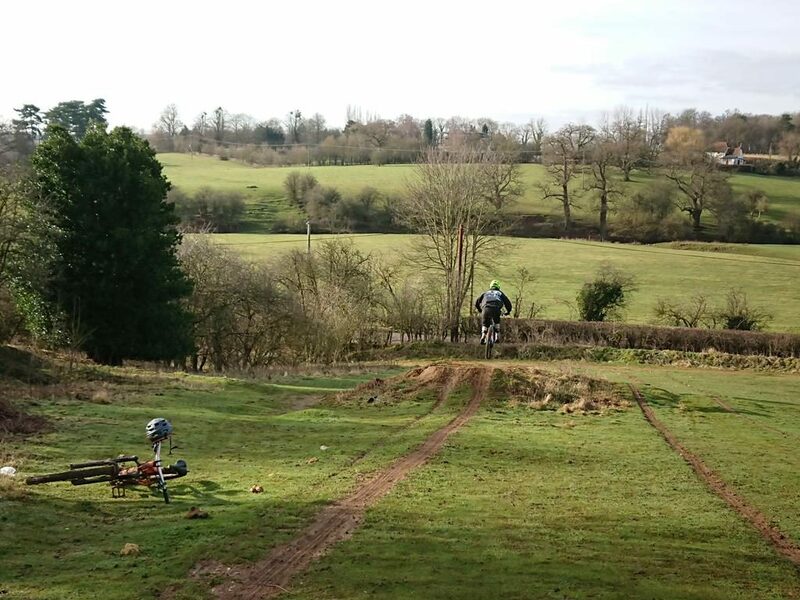 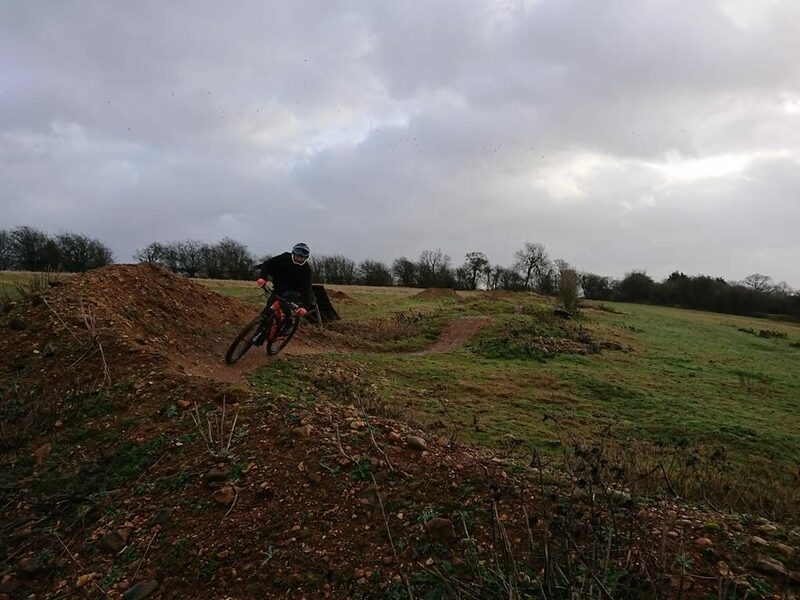 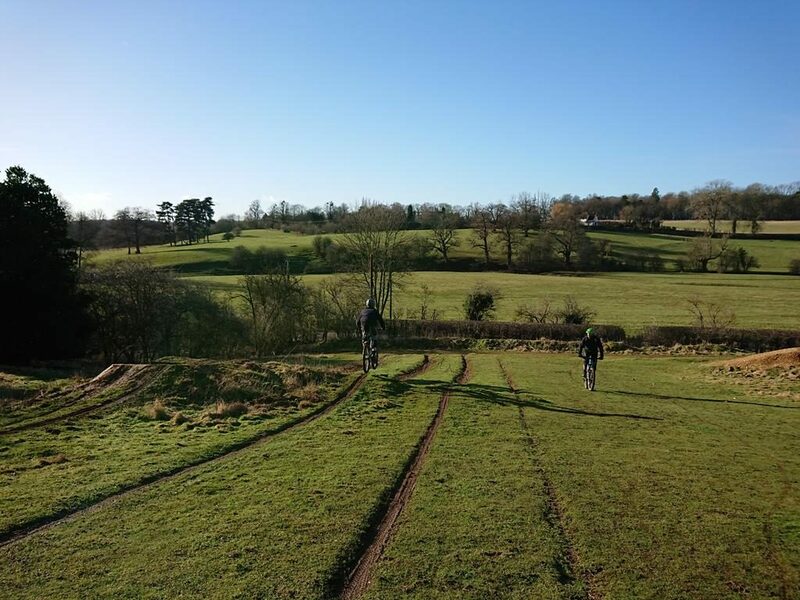 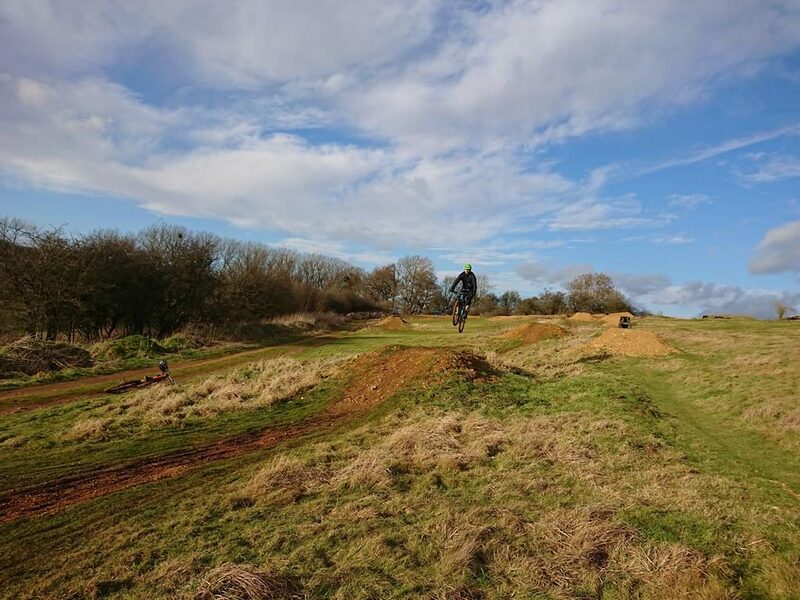 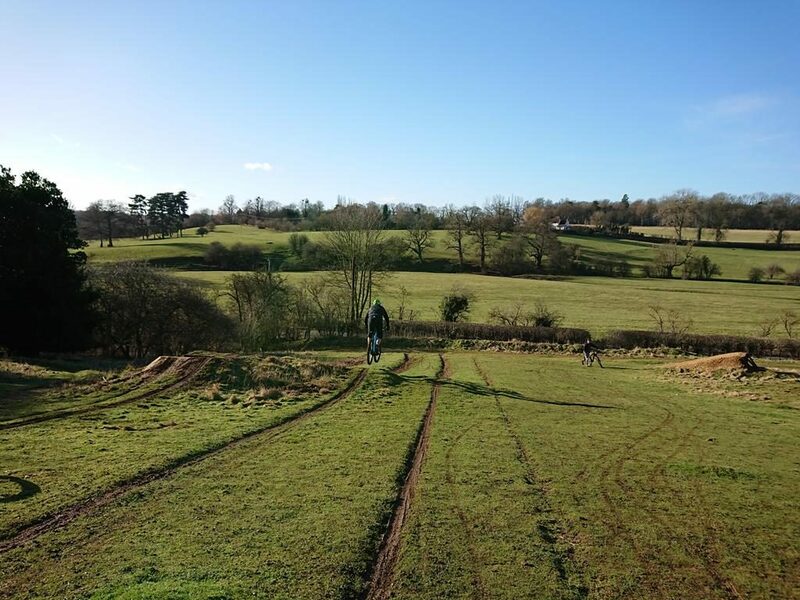 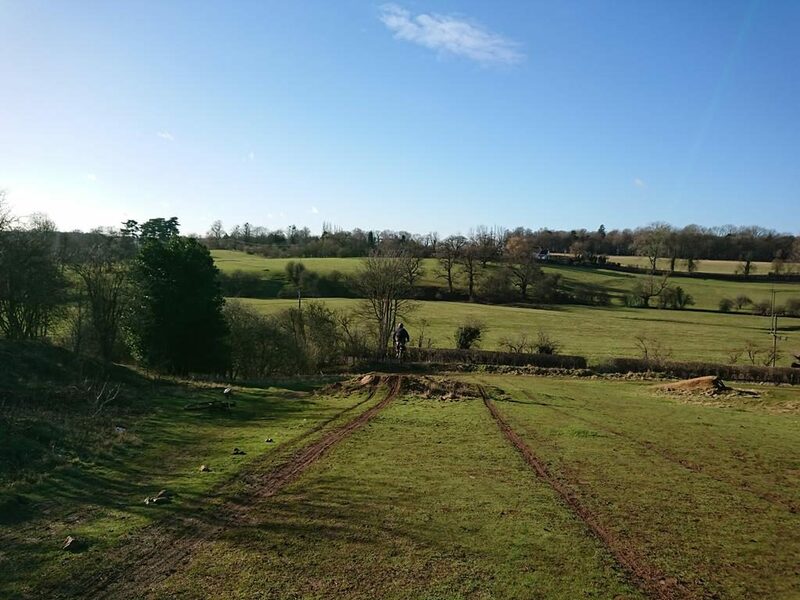 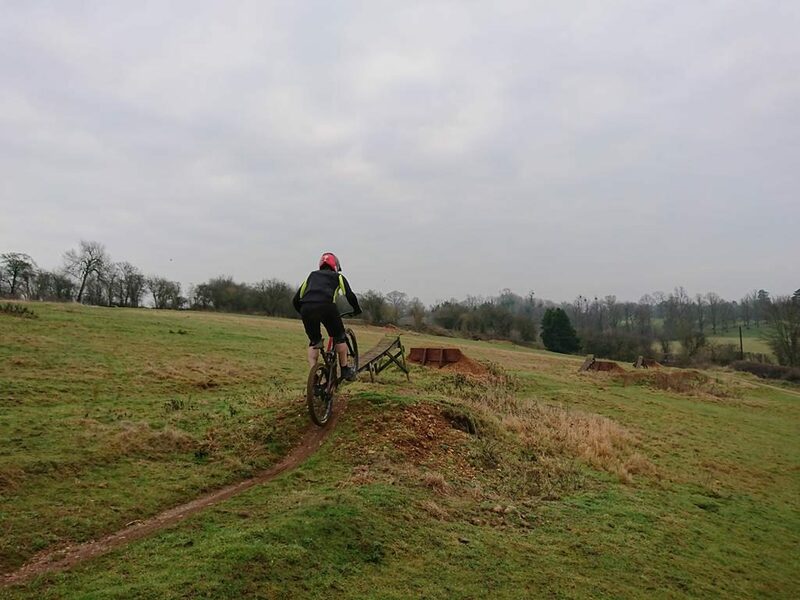 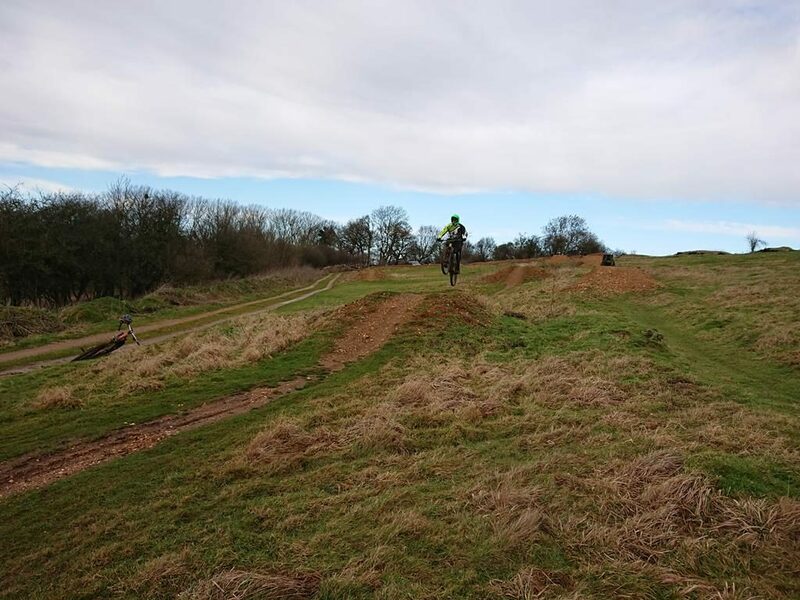 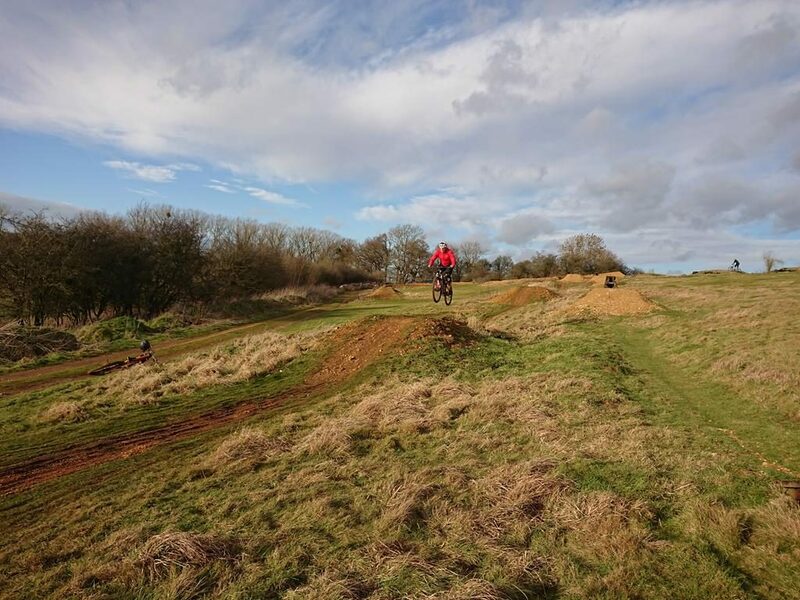 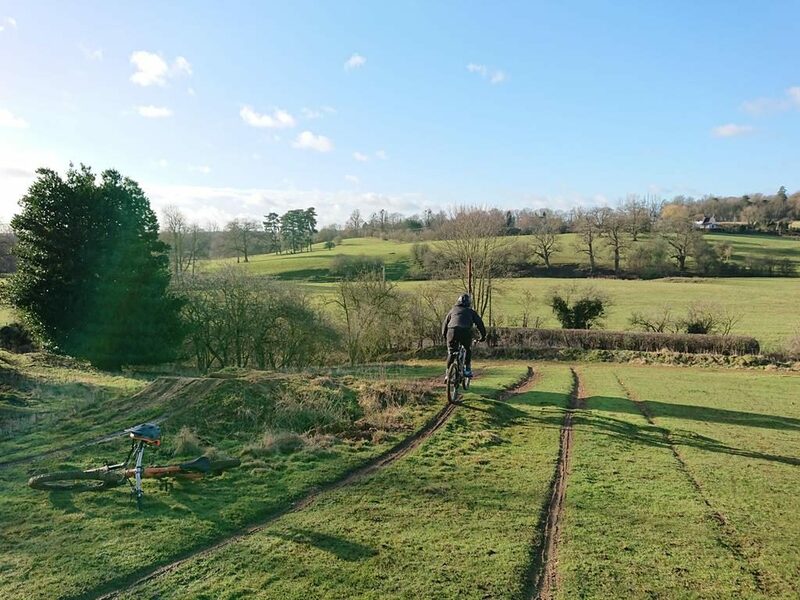 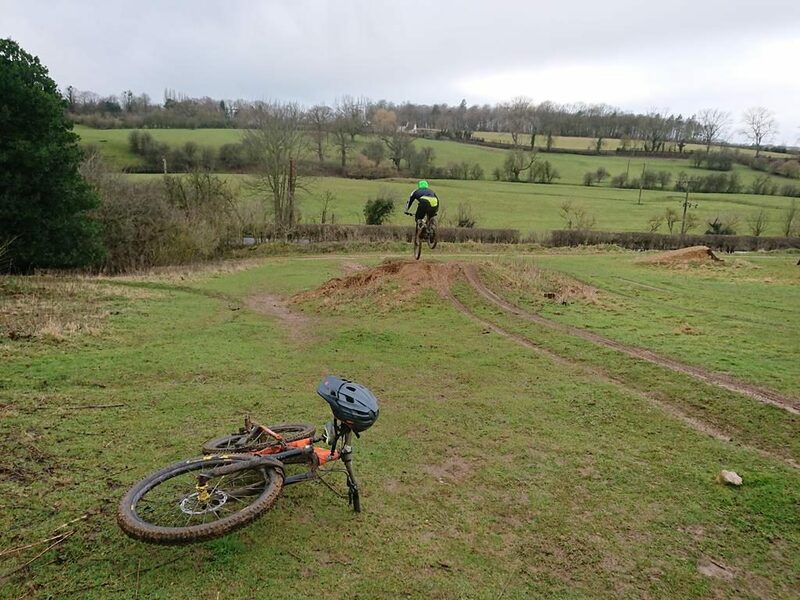 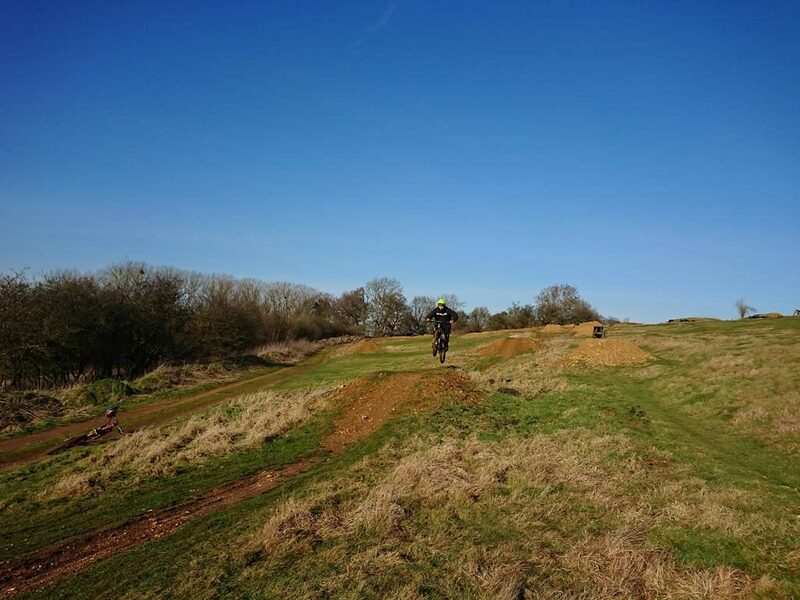 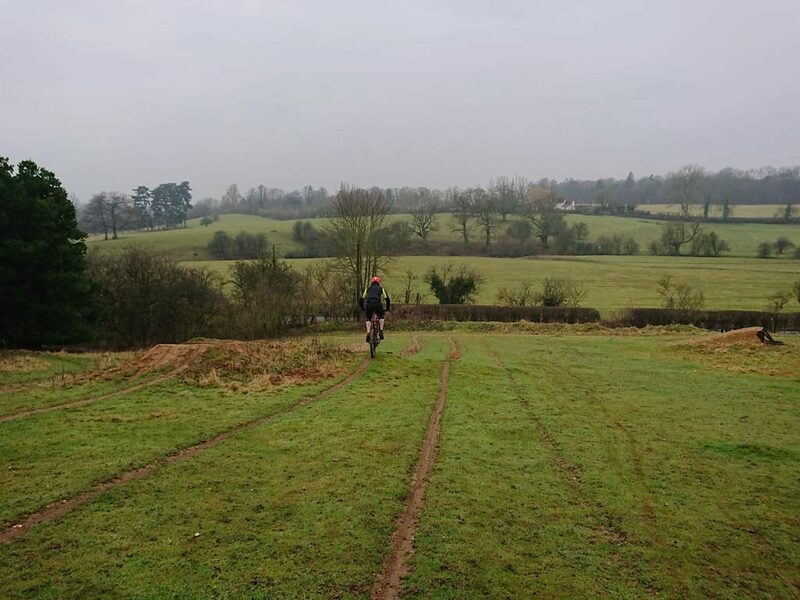 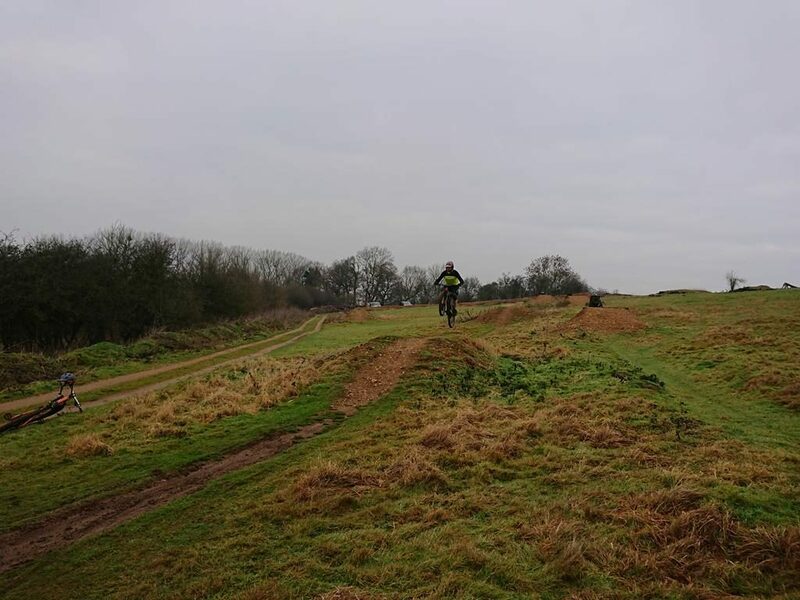 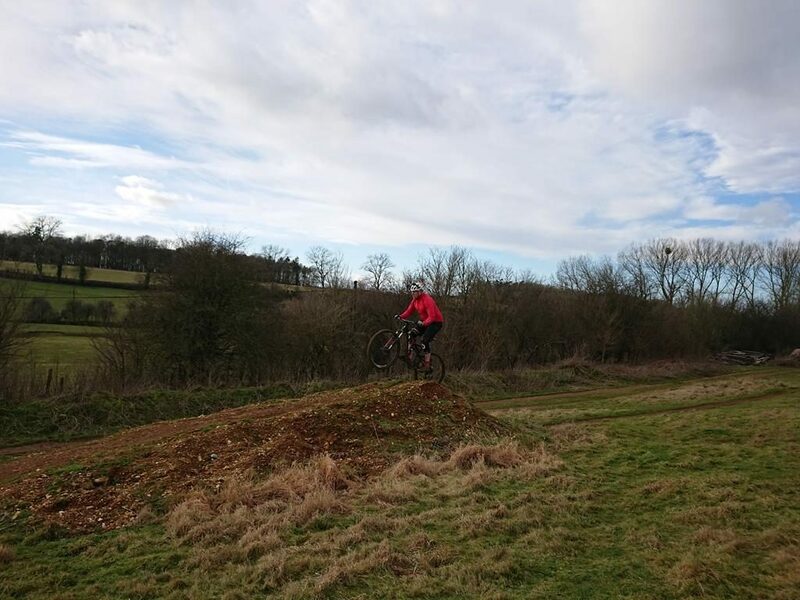 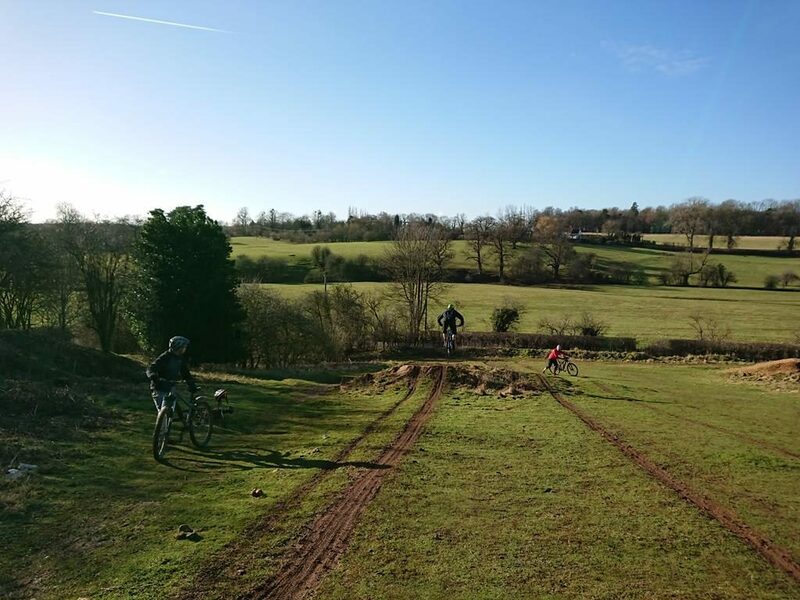 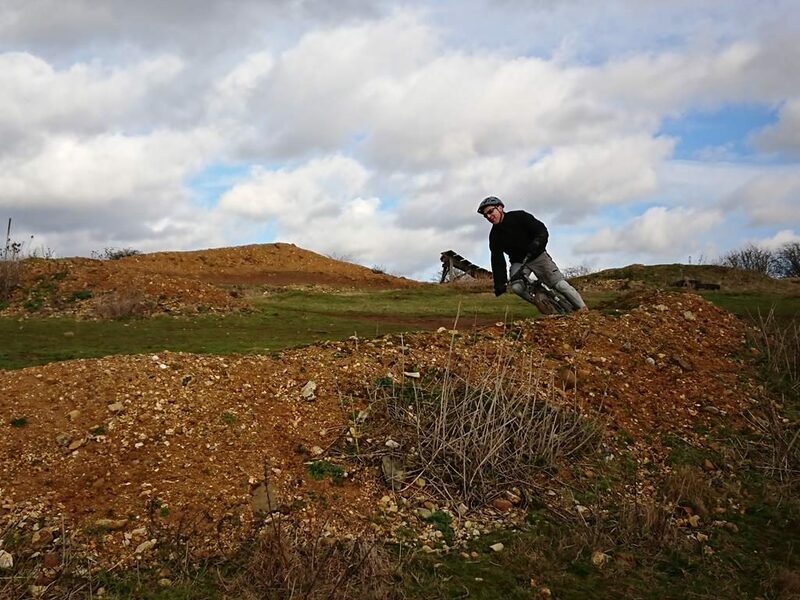 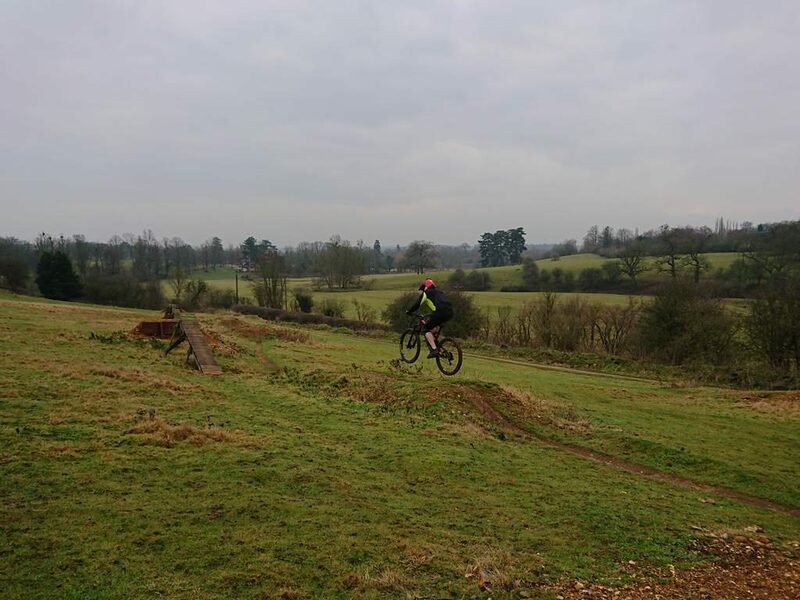 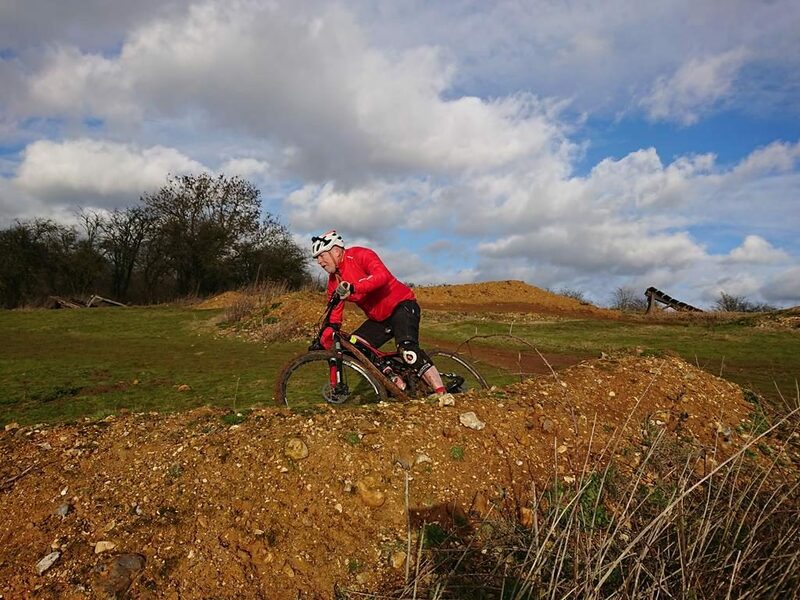 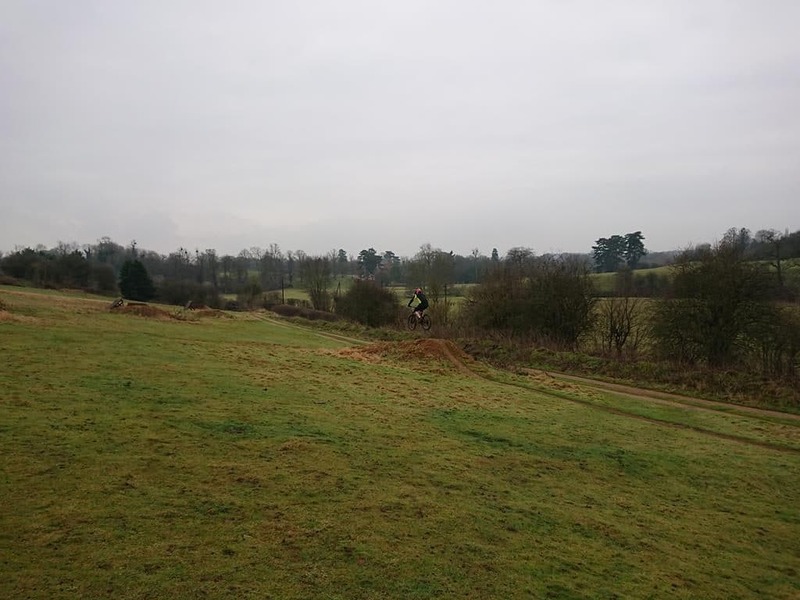 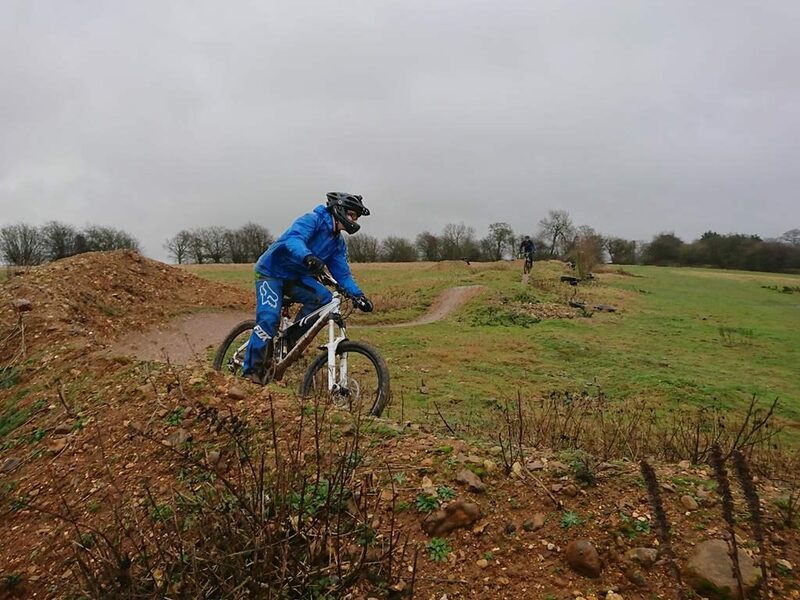 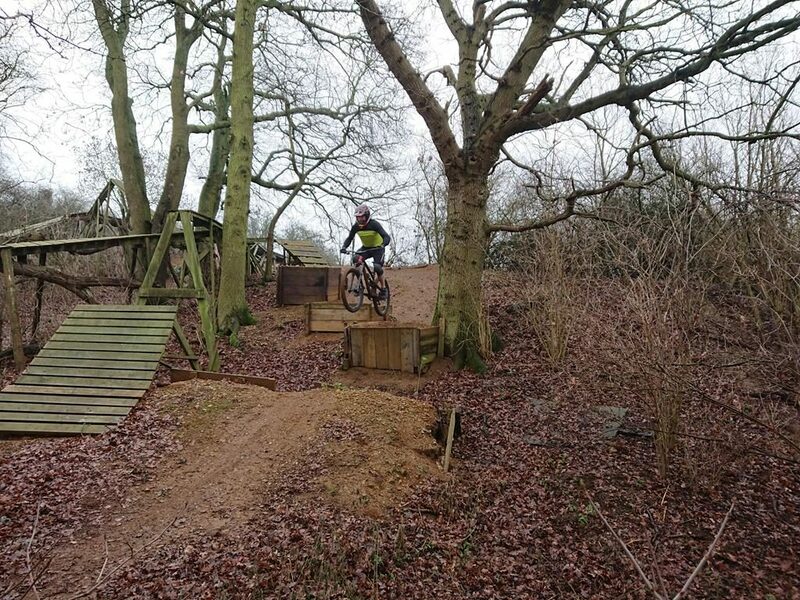 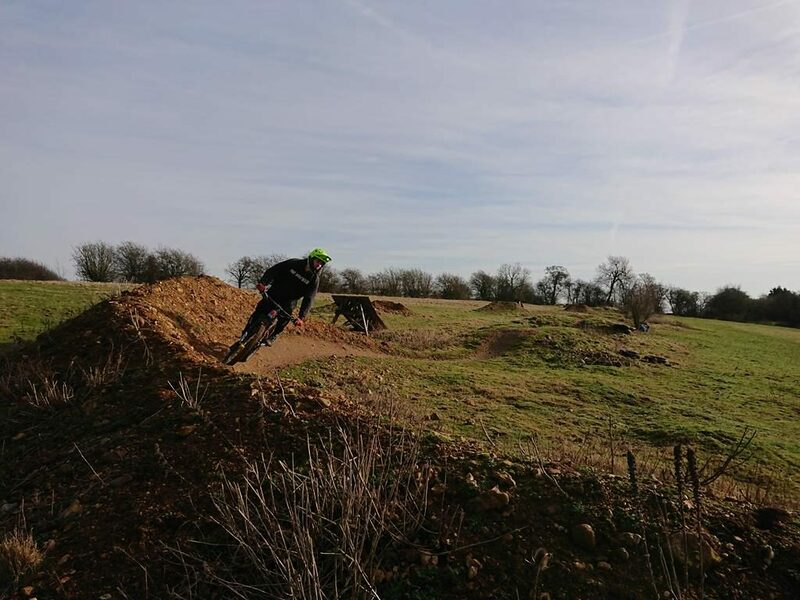 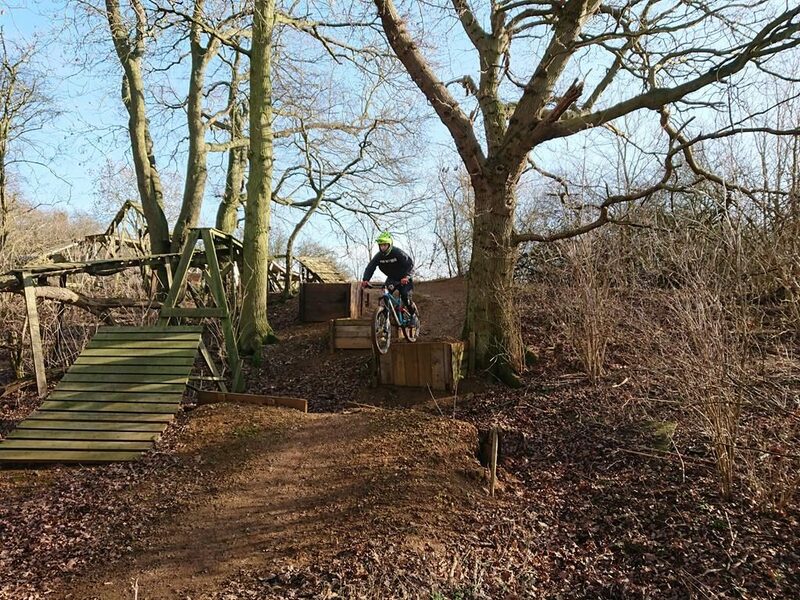 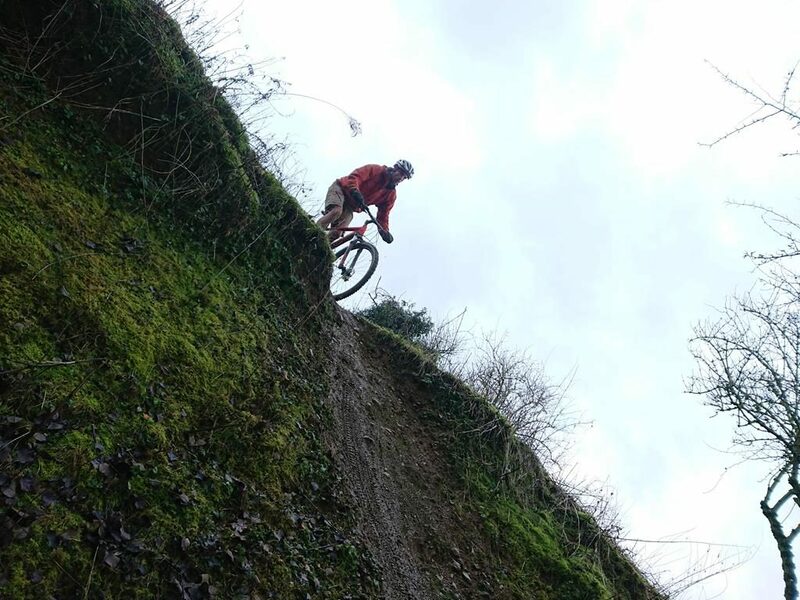 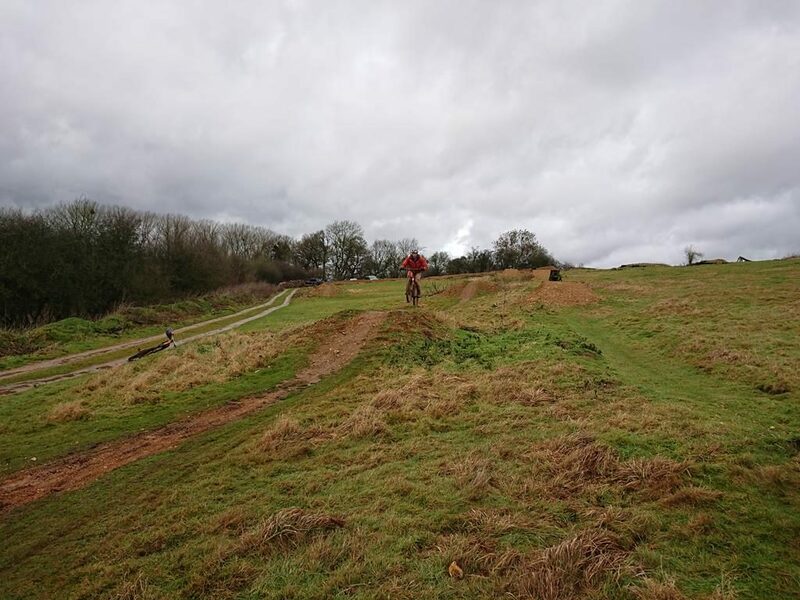 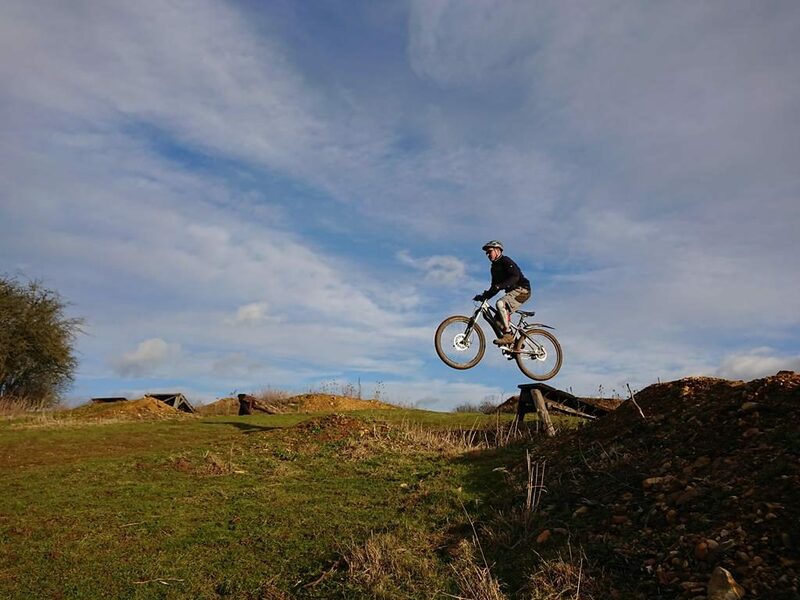 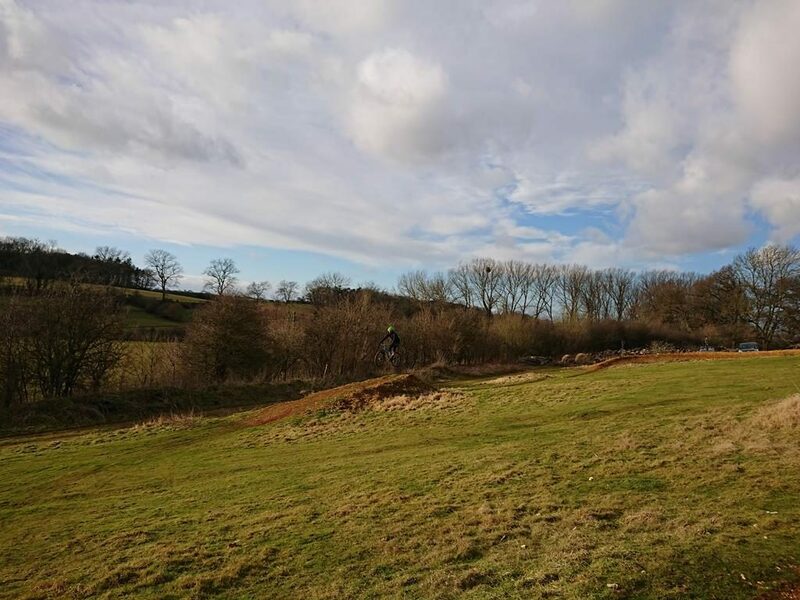 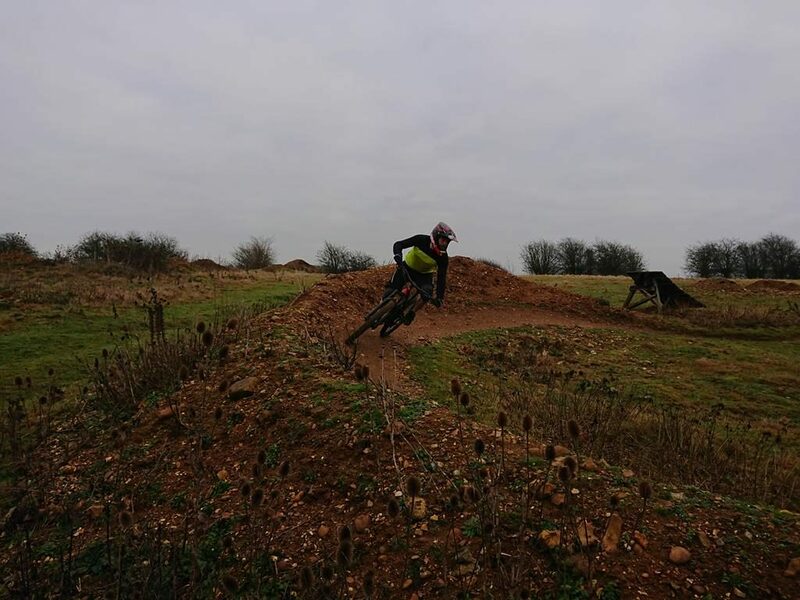 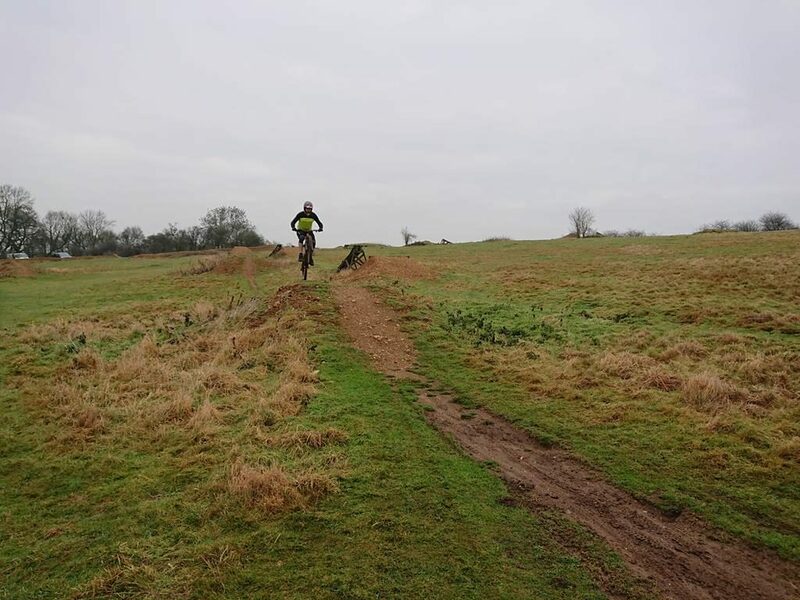 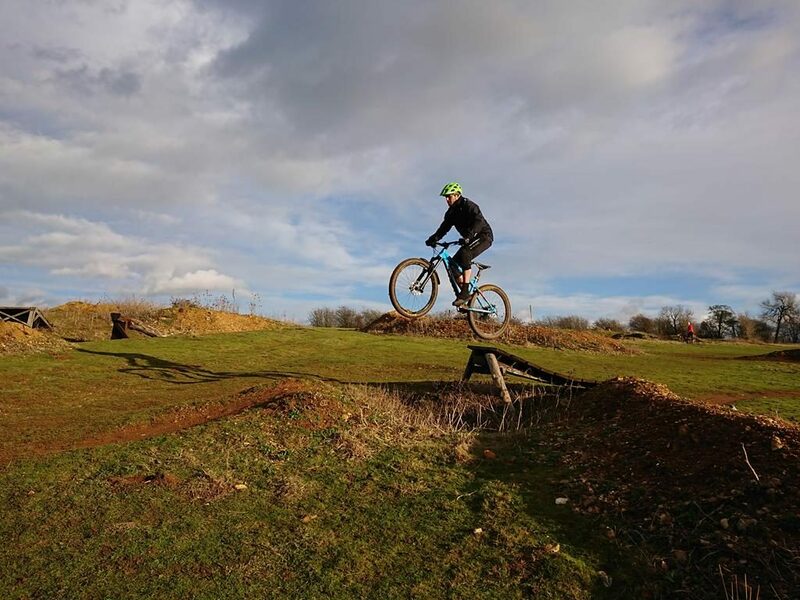 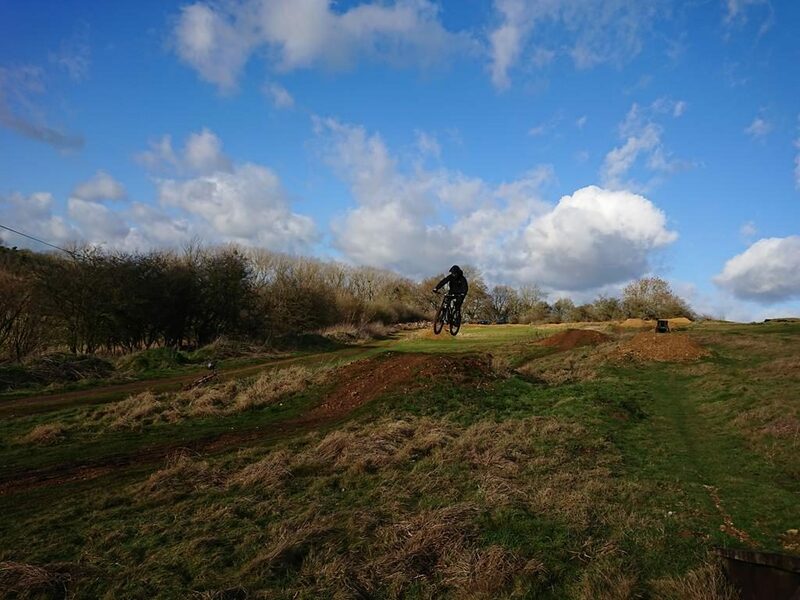 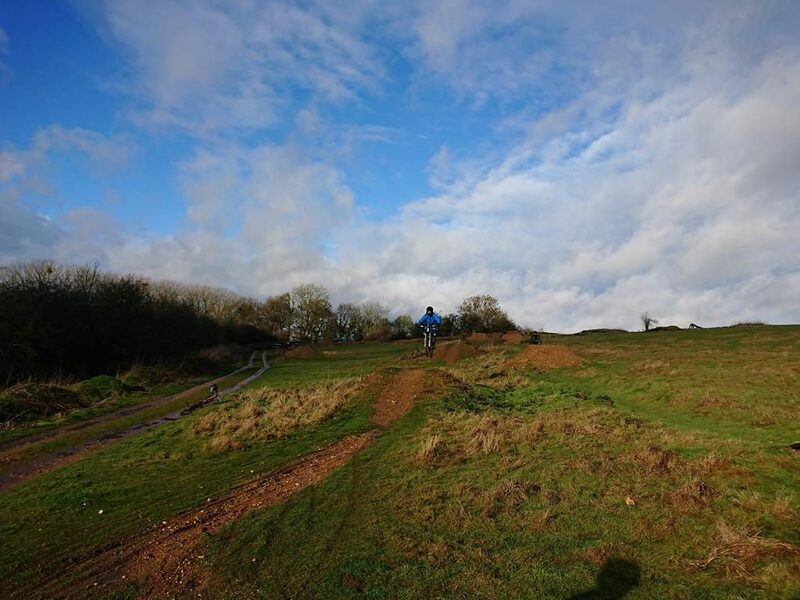 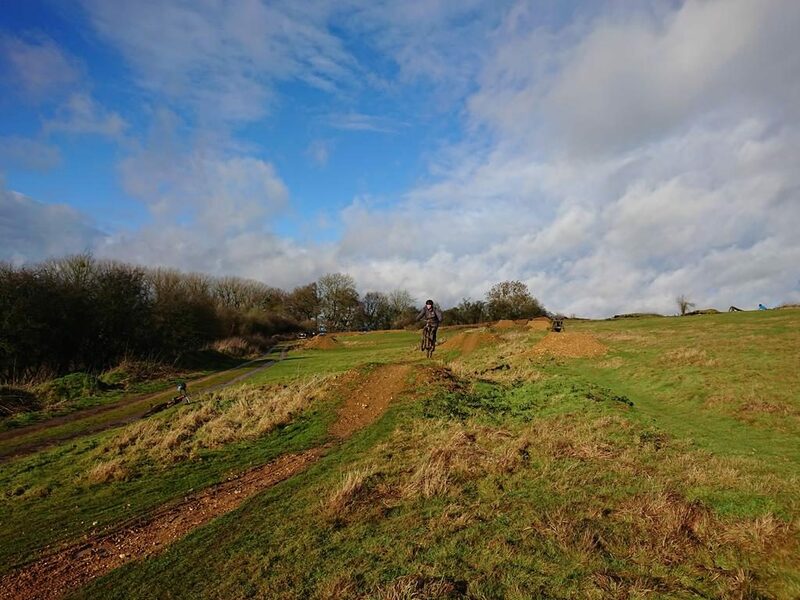 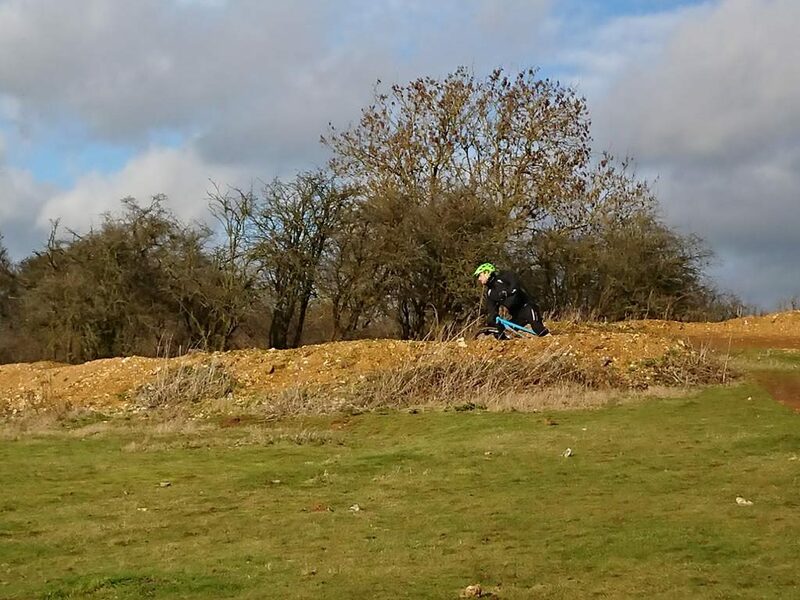 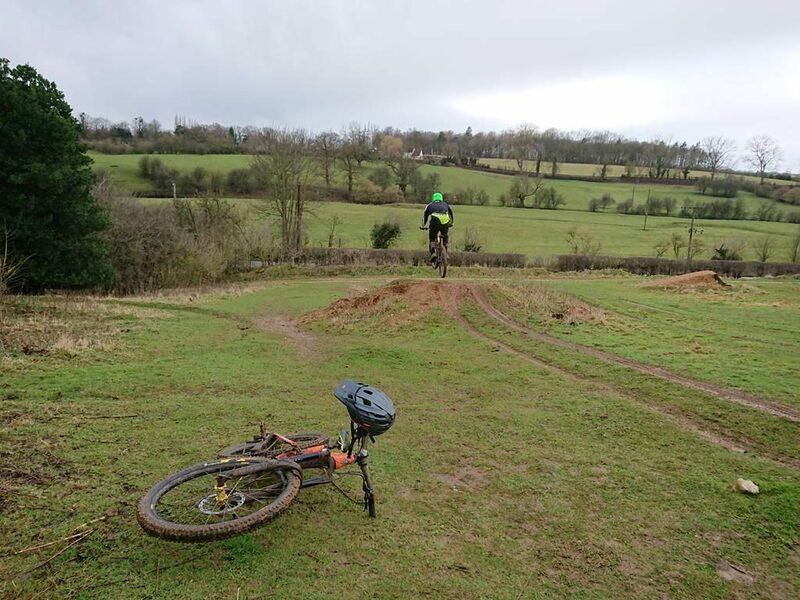 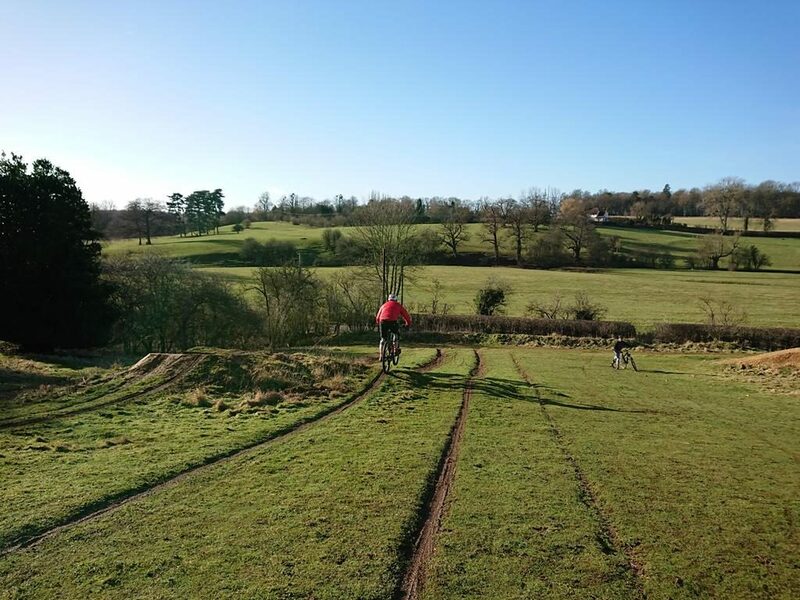 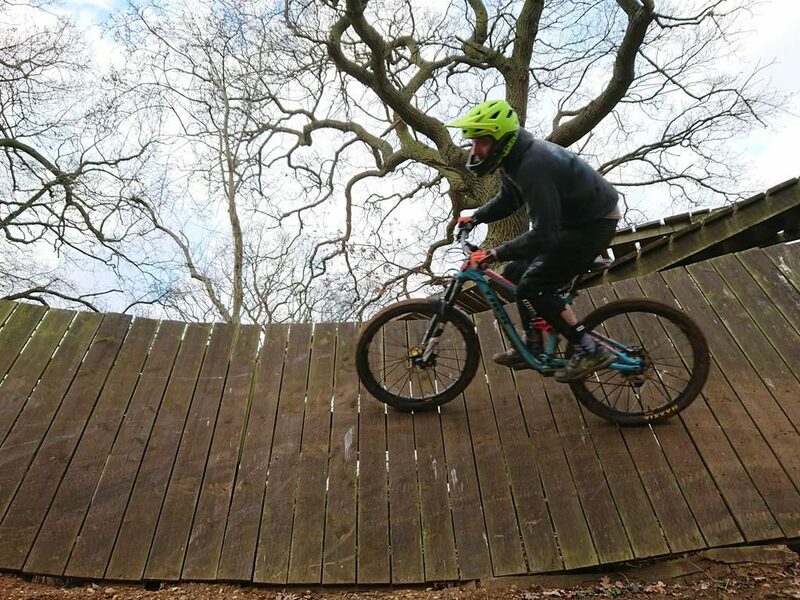 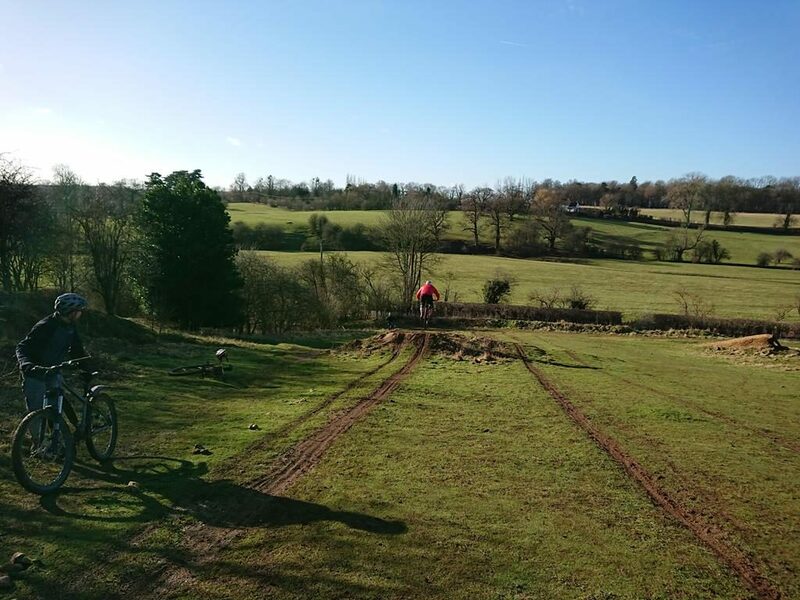 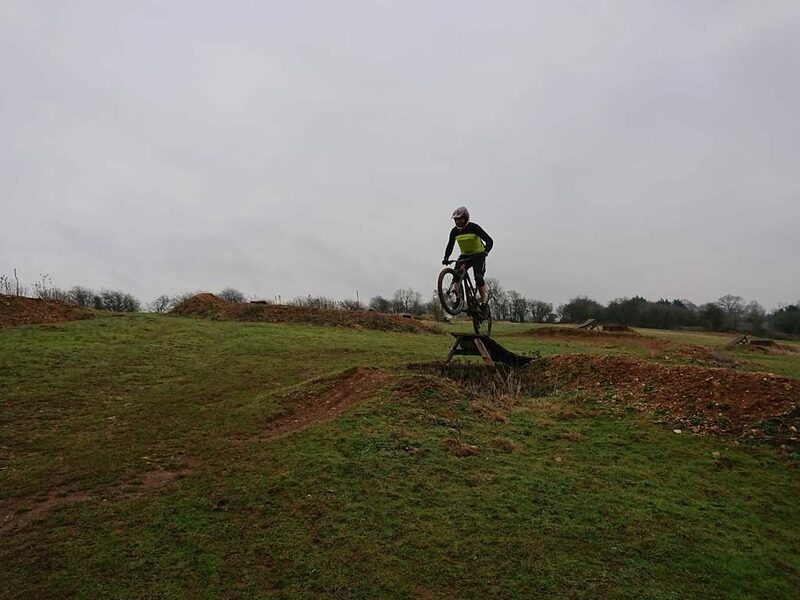 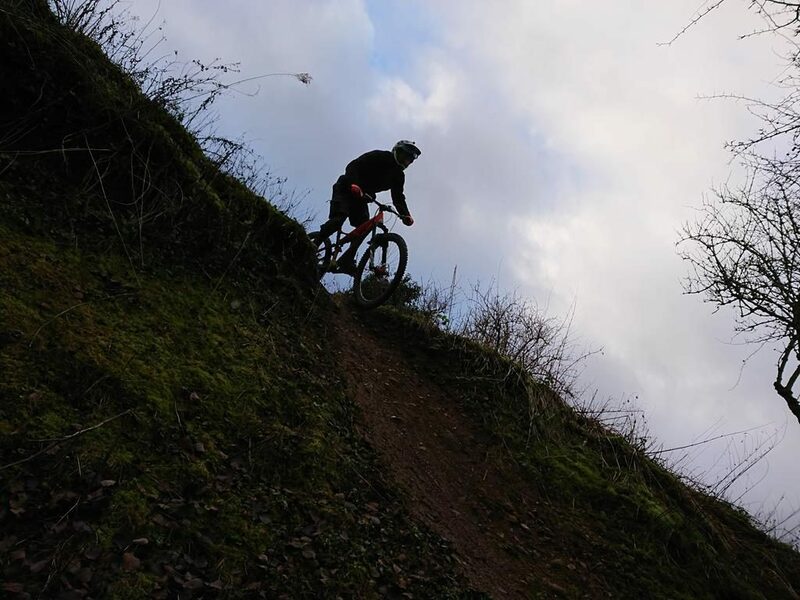 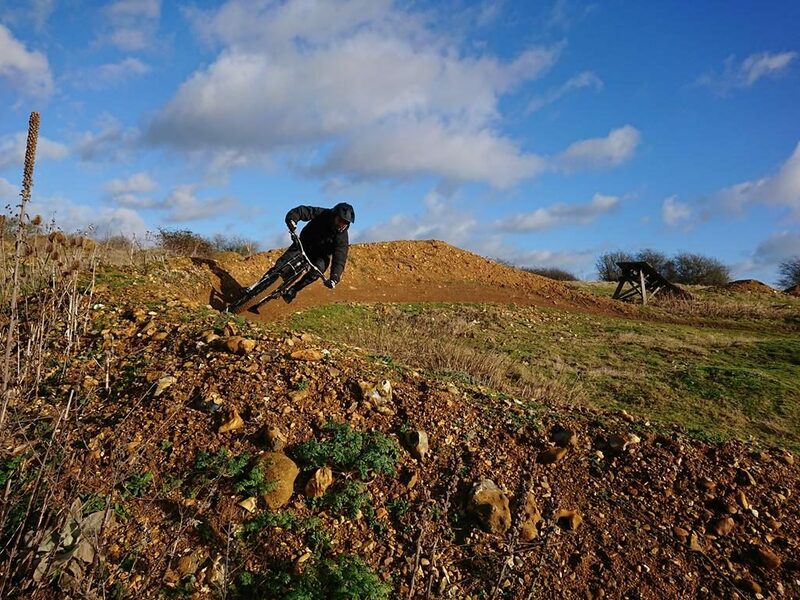 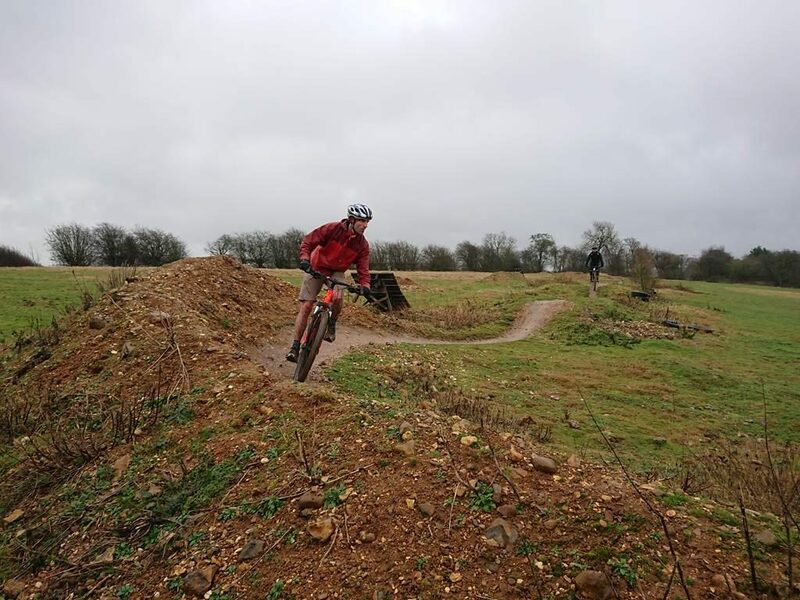 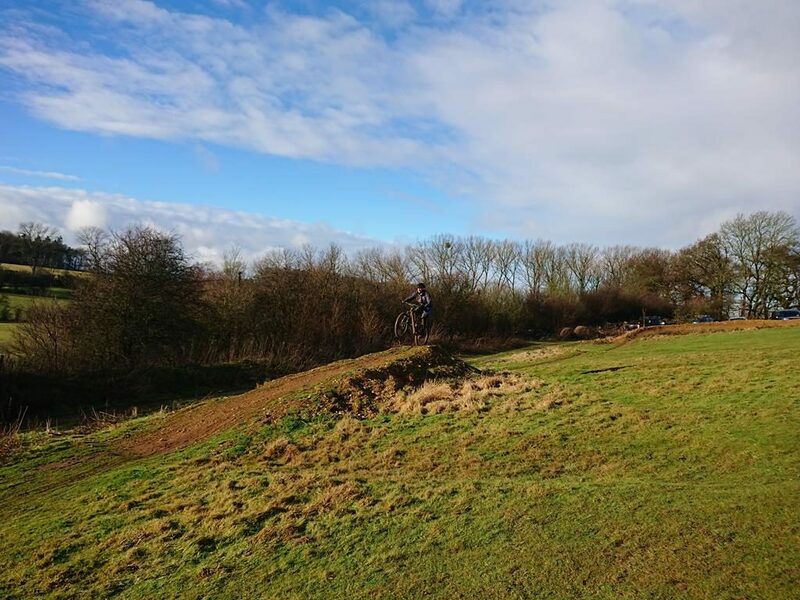 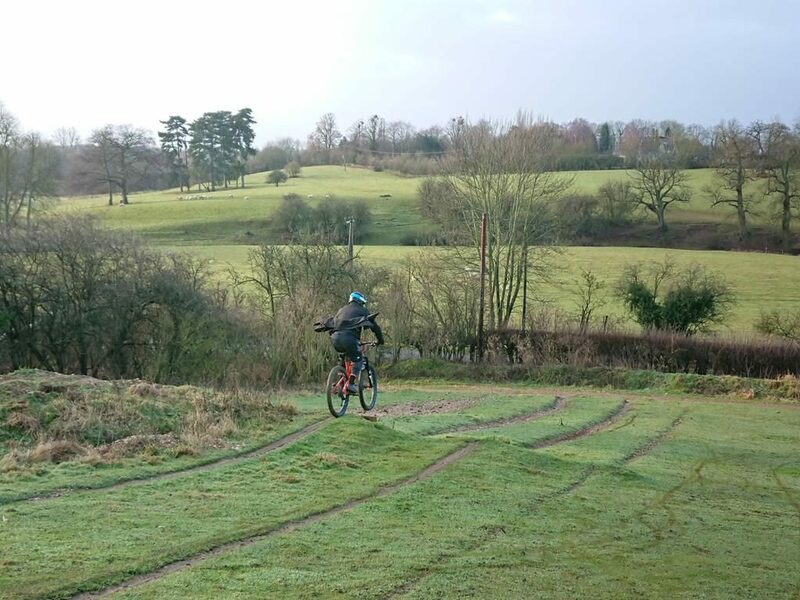 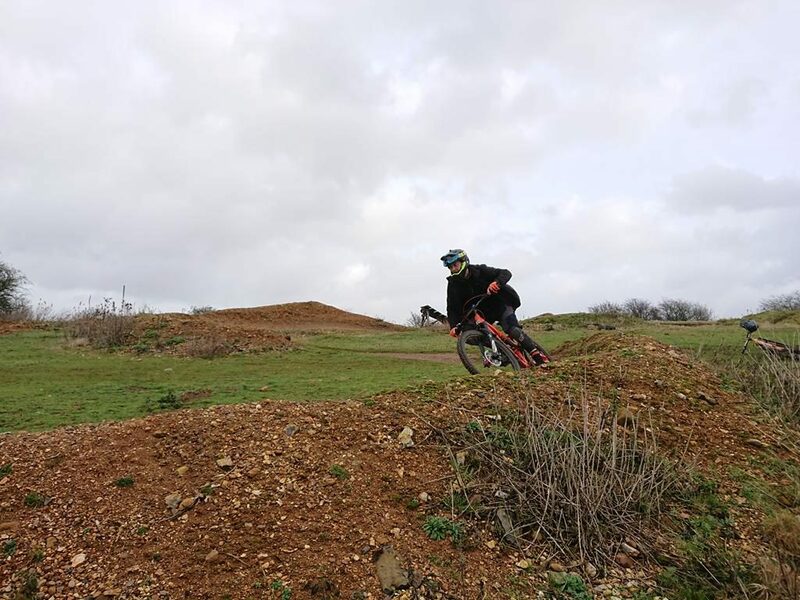 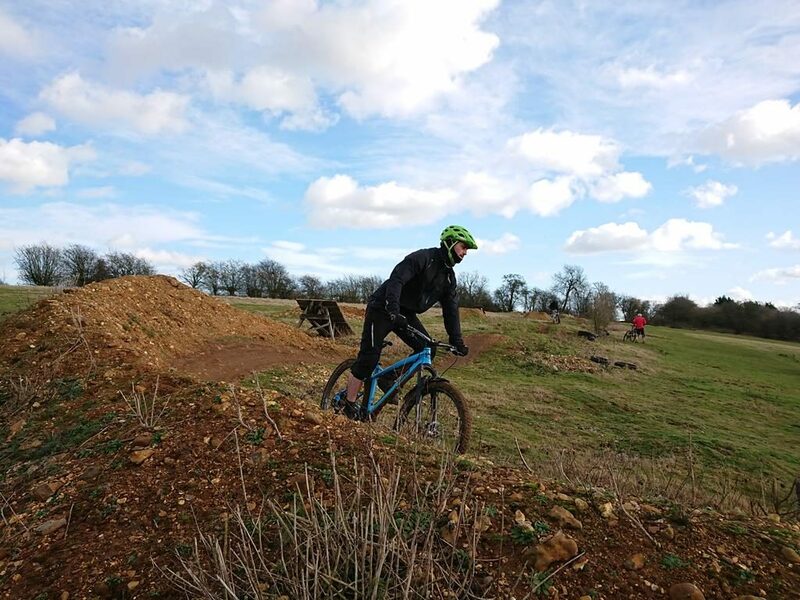 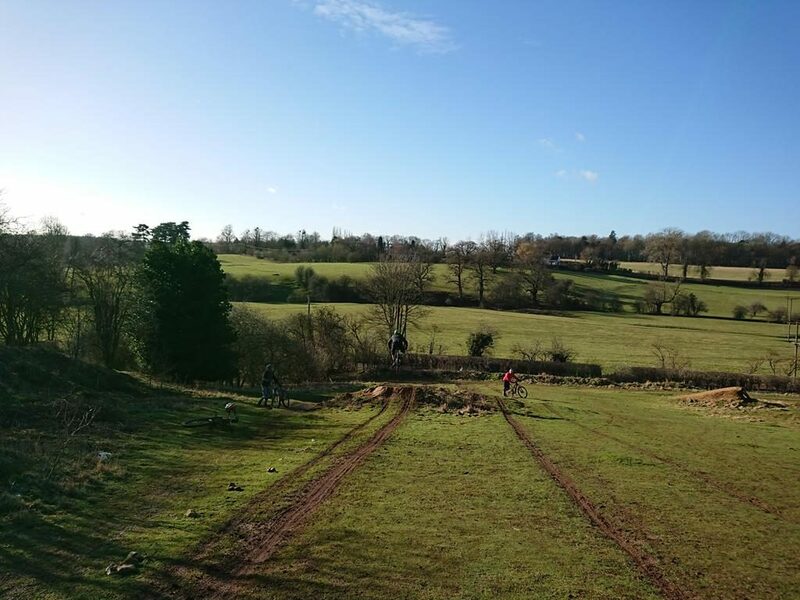 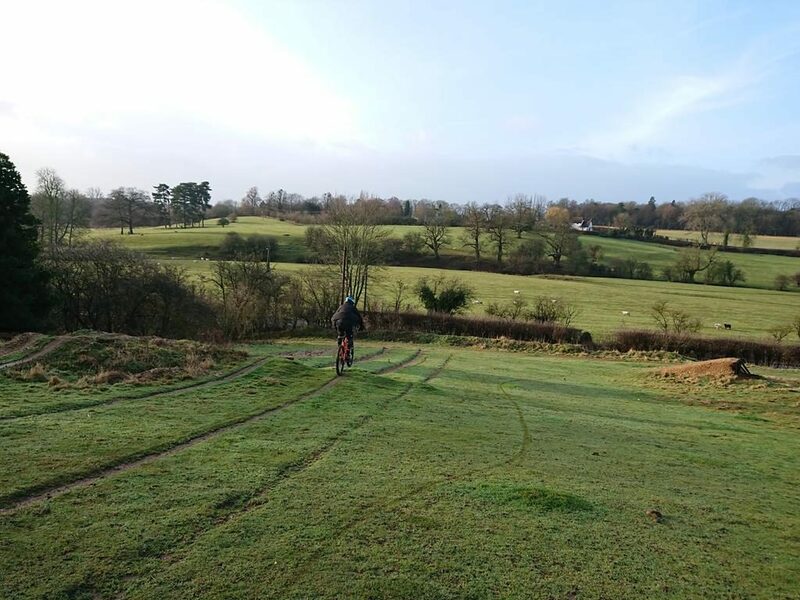 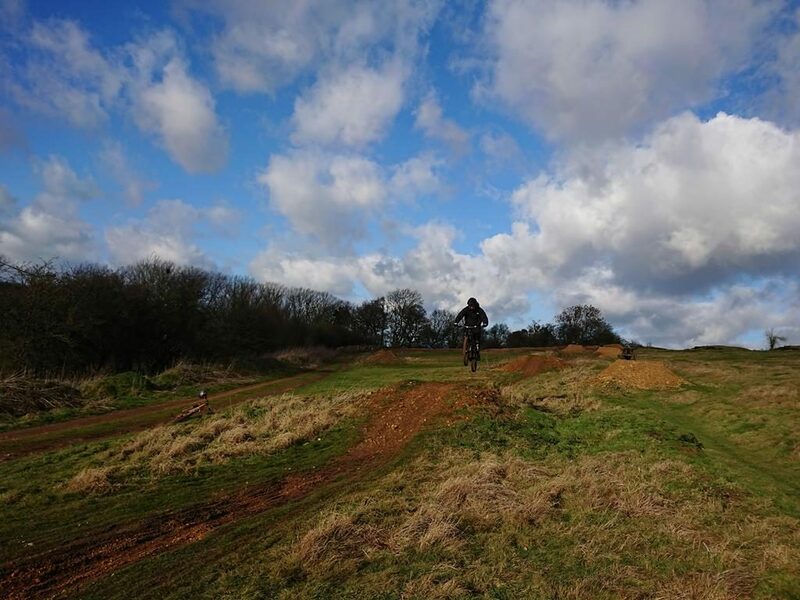 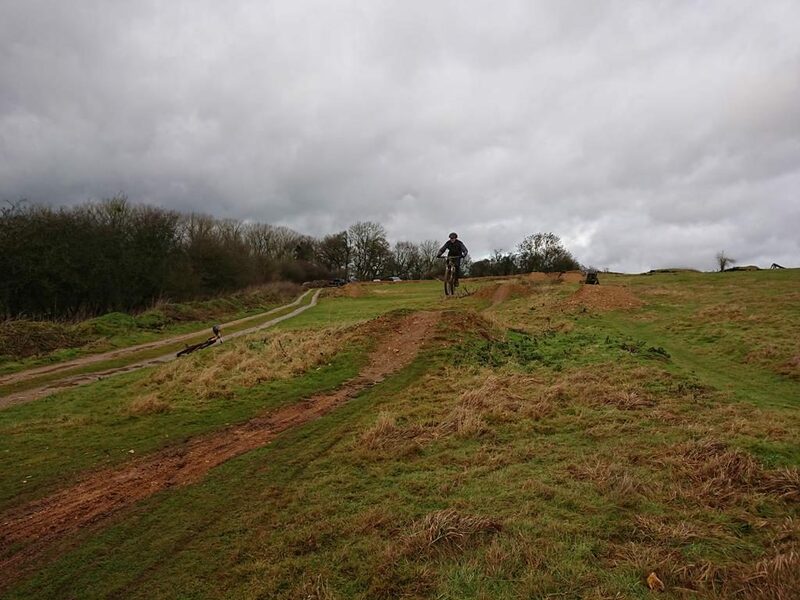 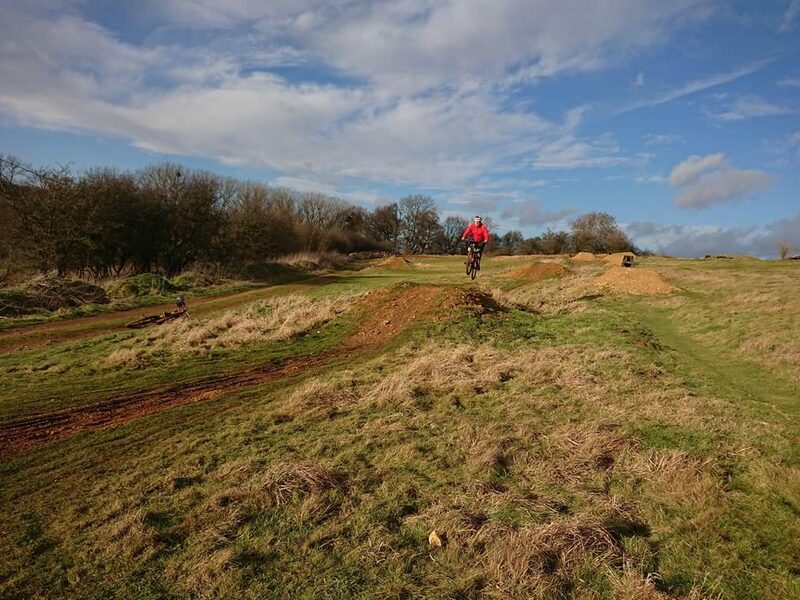 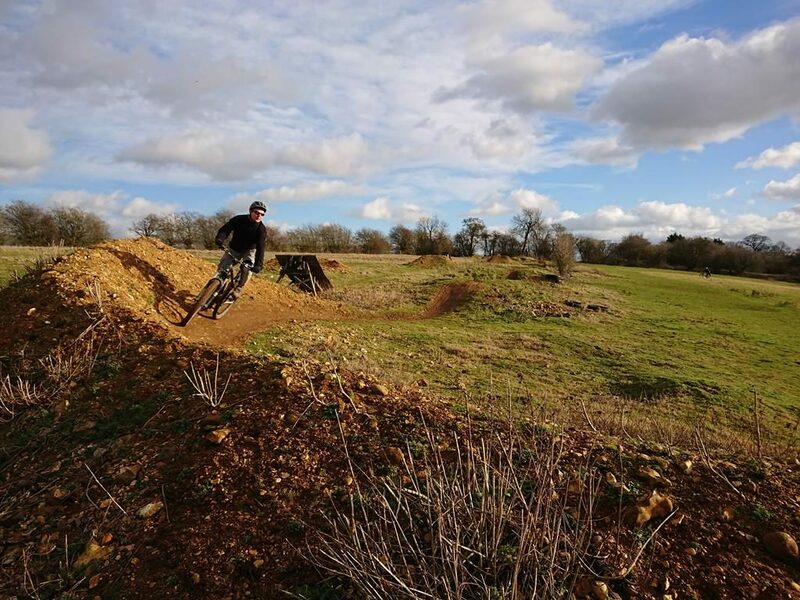 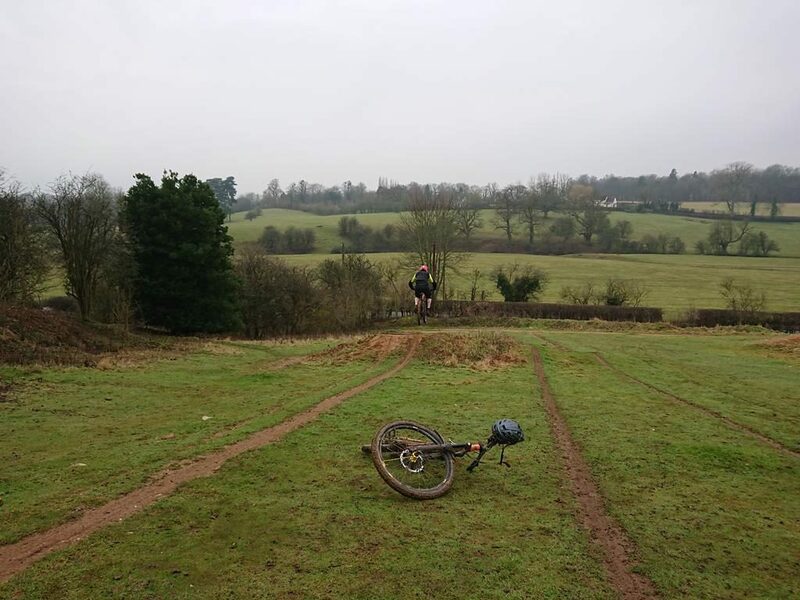 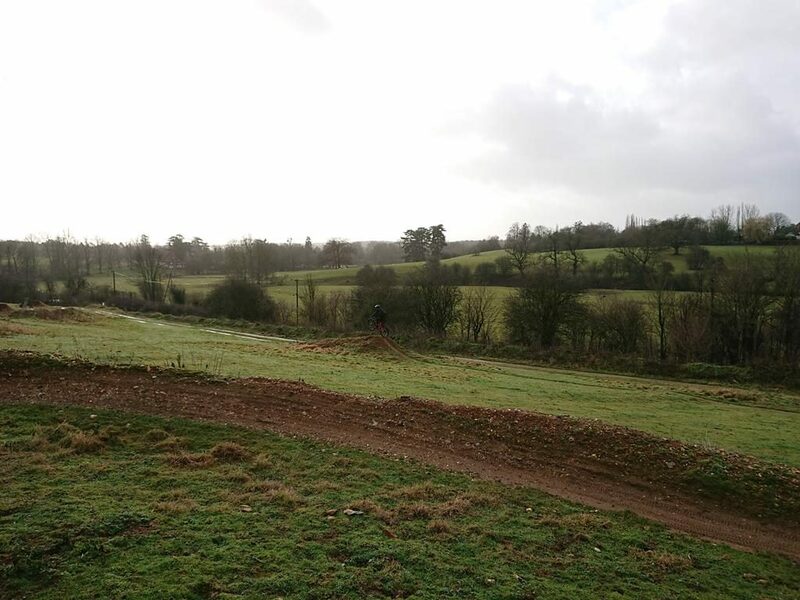 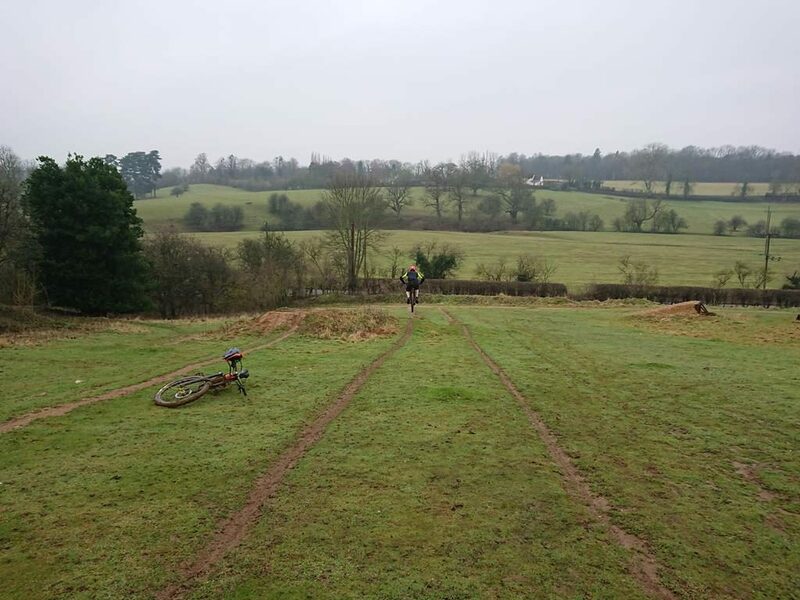 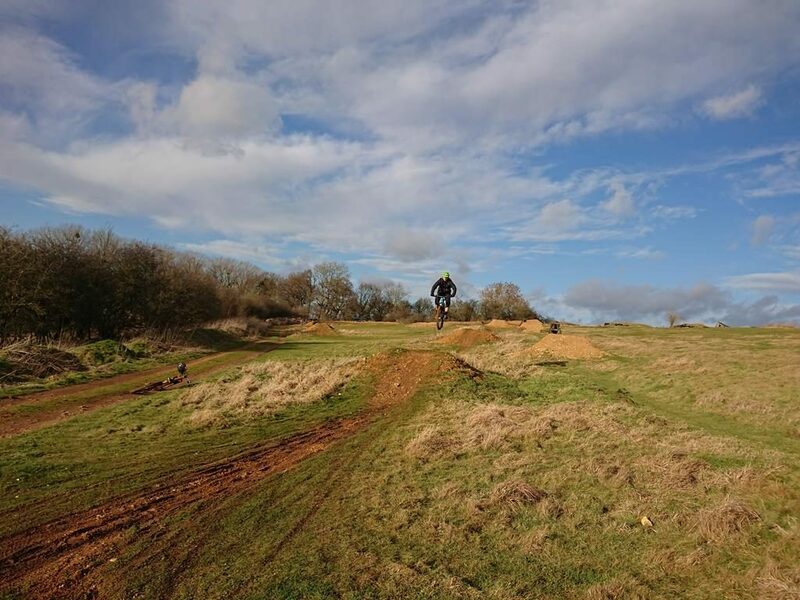 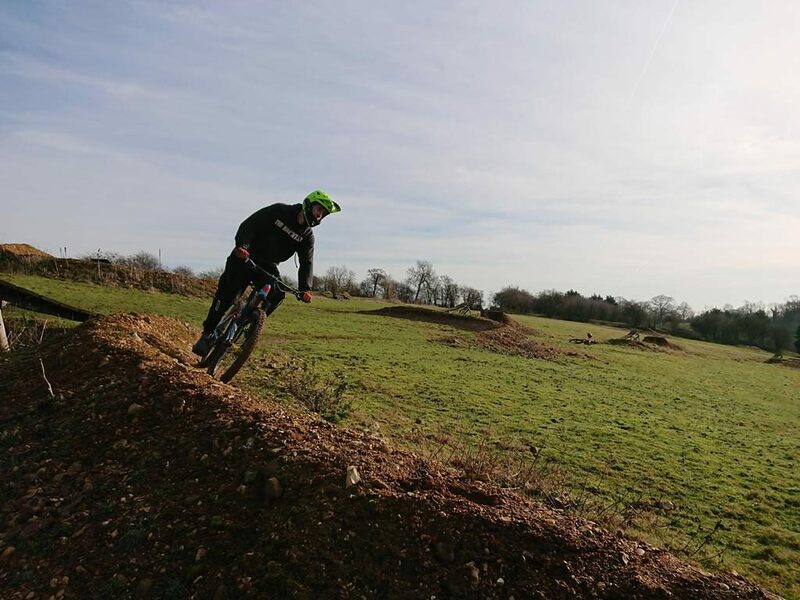 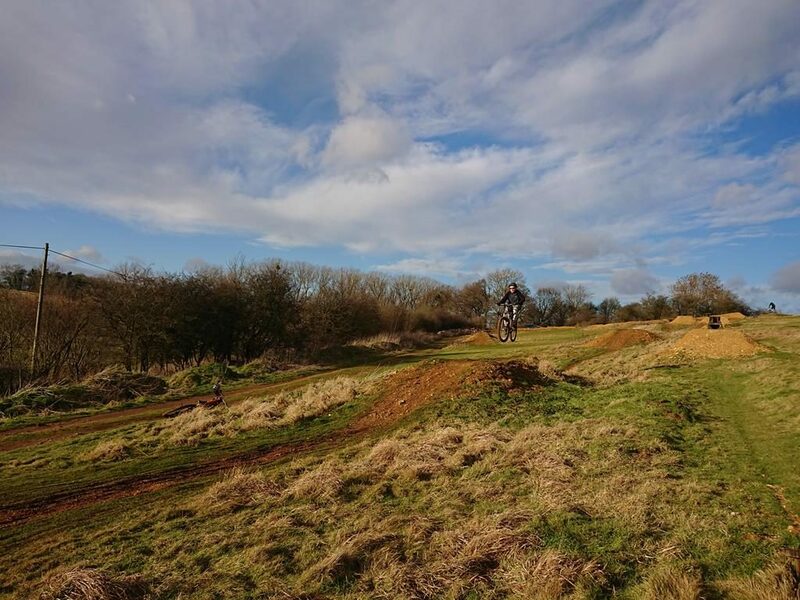 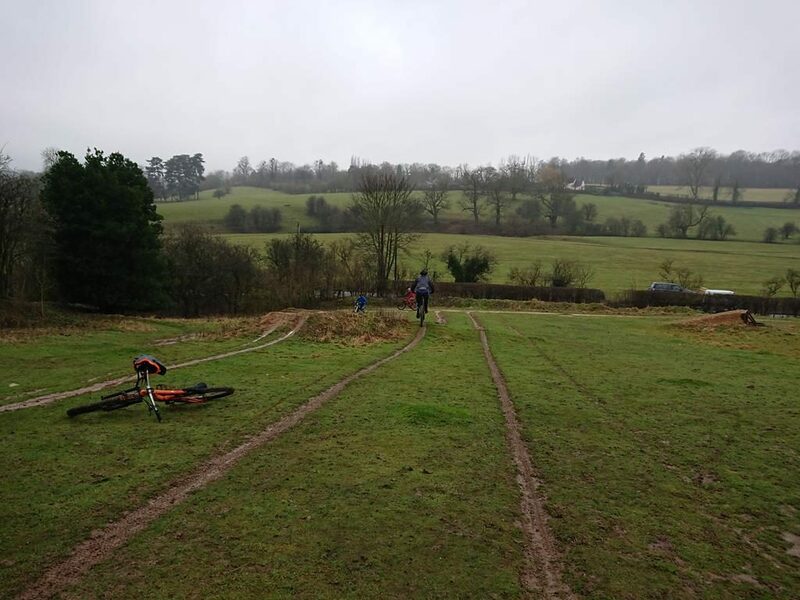 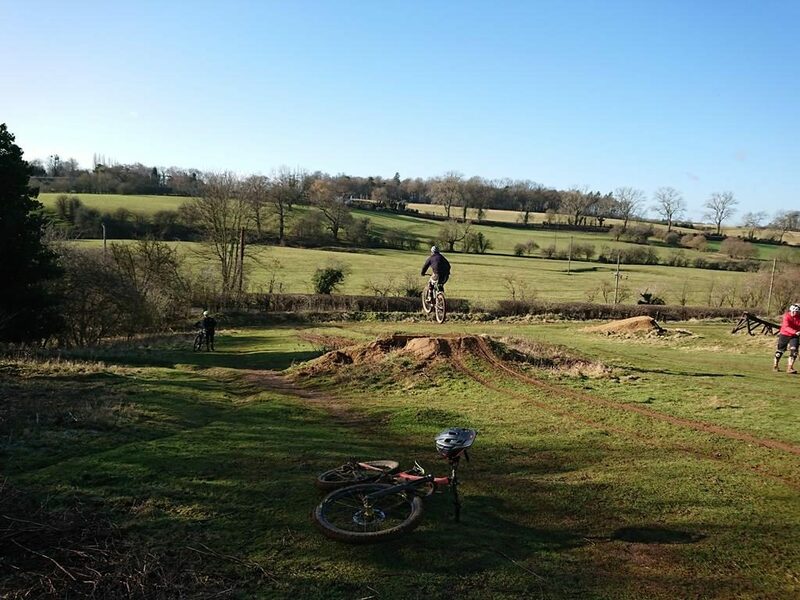 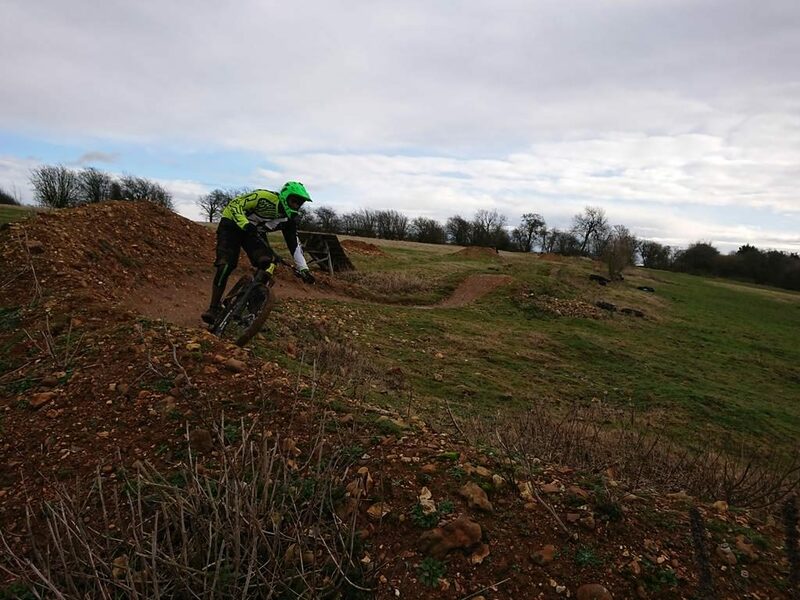 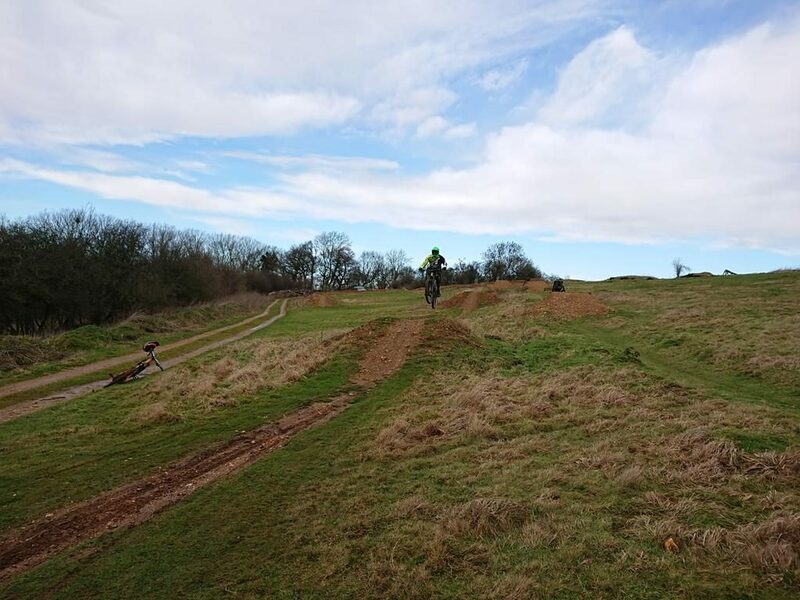 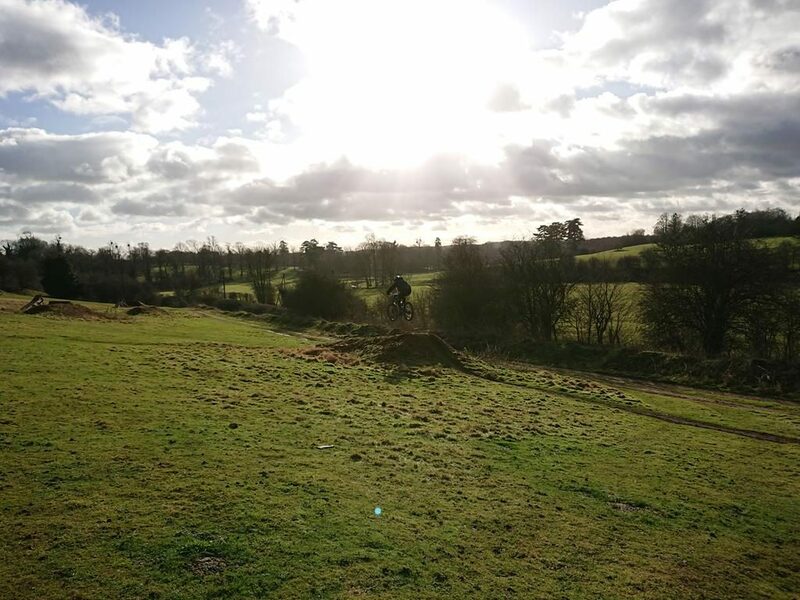 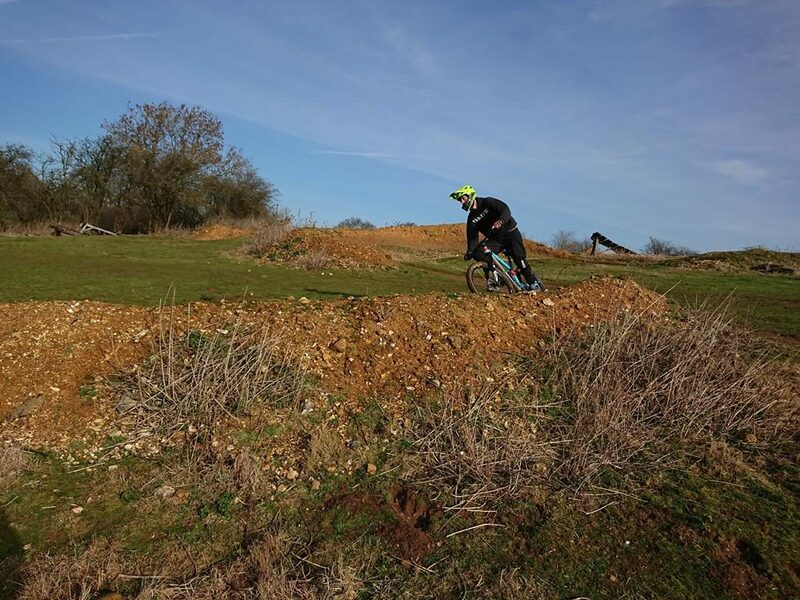 Lorien came to myself for mountain bike skills coaching after reading reviews. 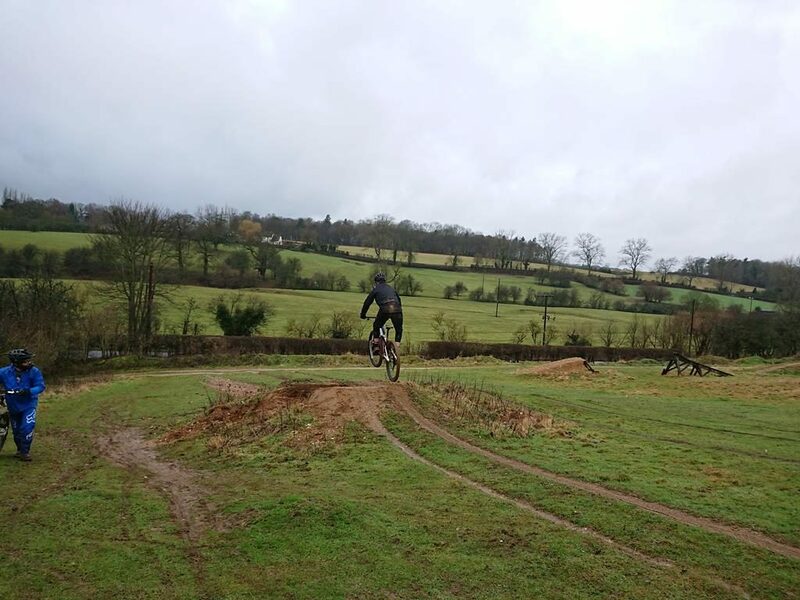 He wanted to learn to jump and corner better and I immediately put him through my skills check to show us both the areas that needed work physically and also mentally. 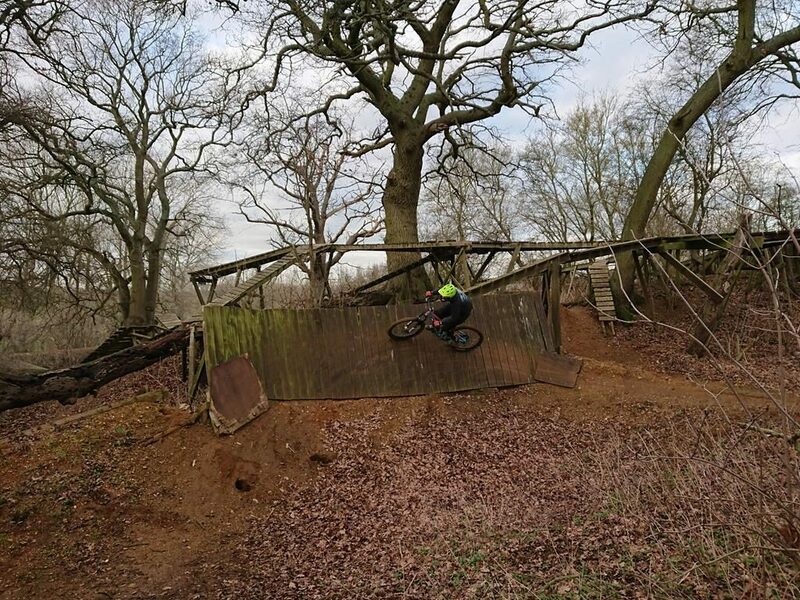 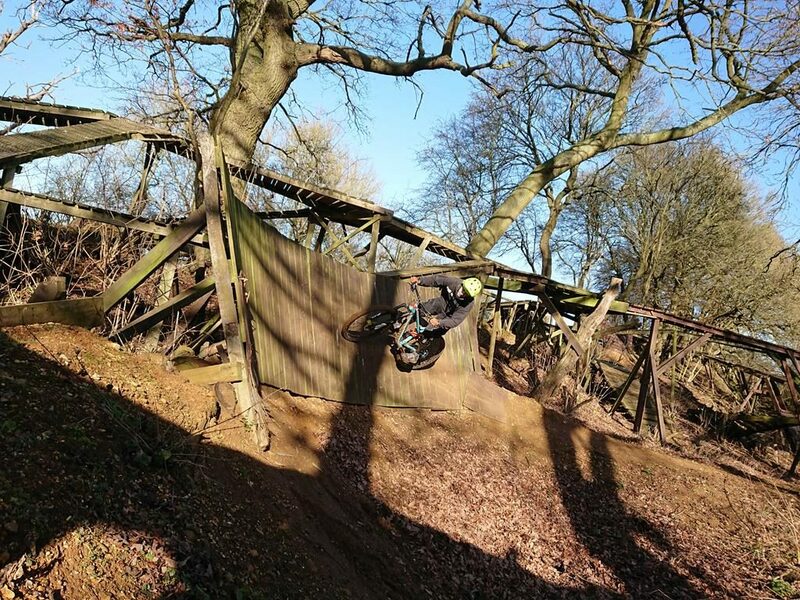 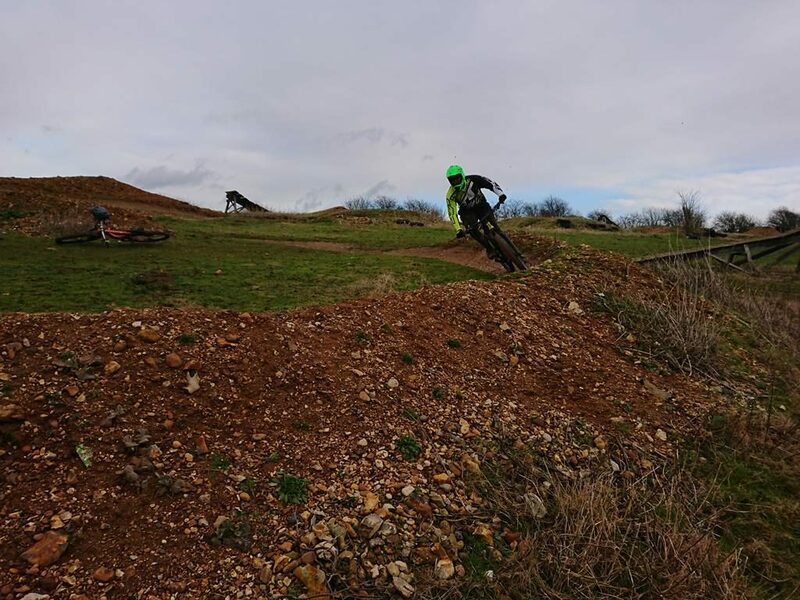 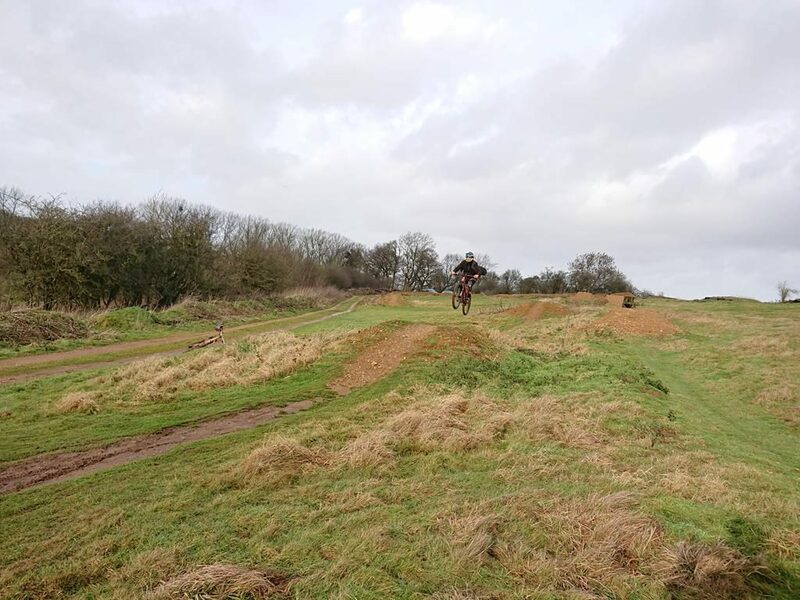 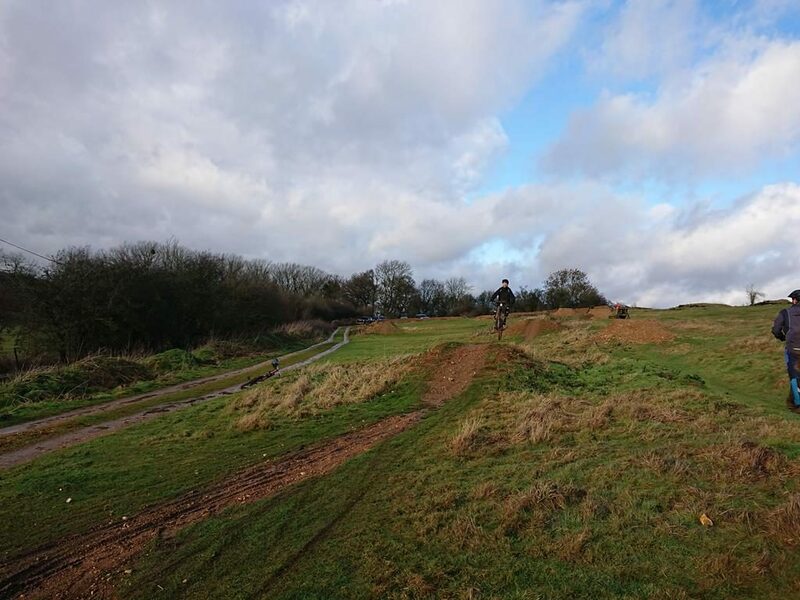 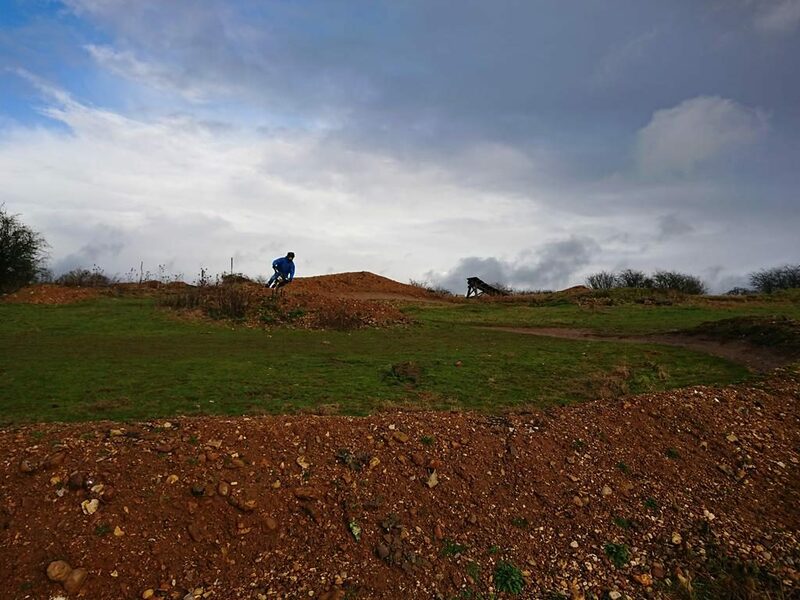 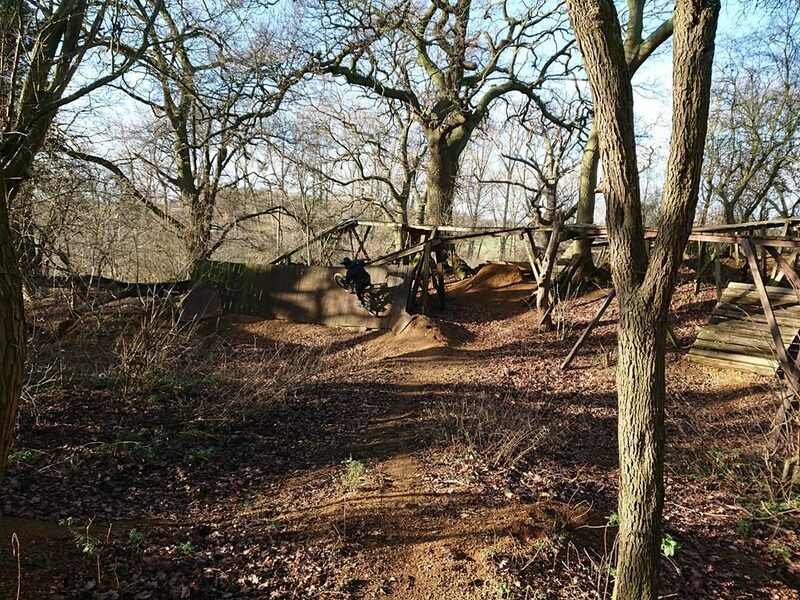 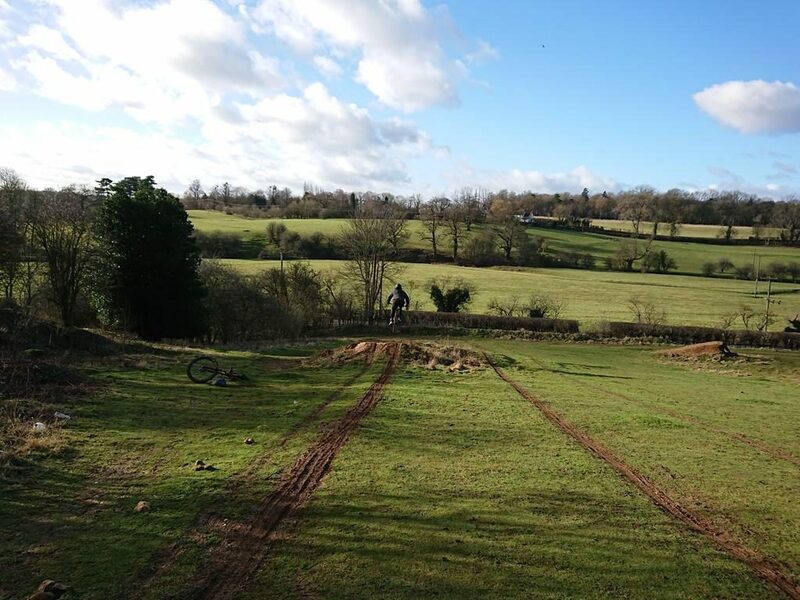 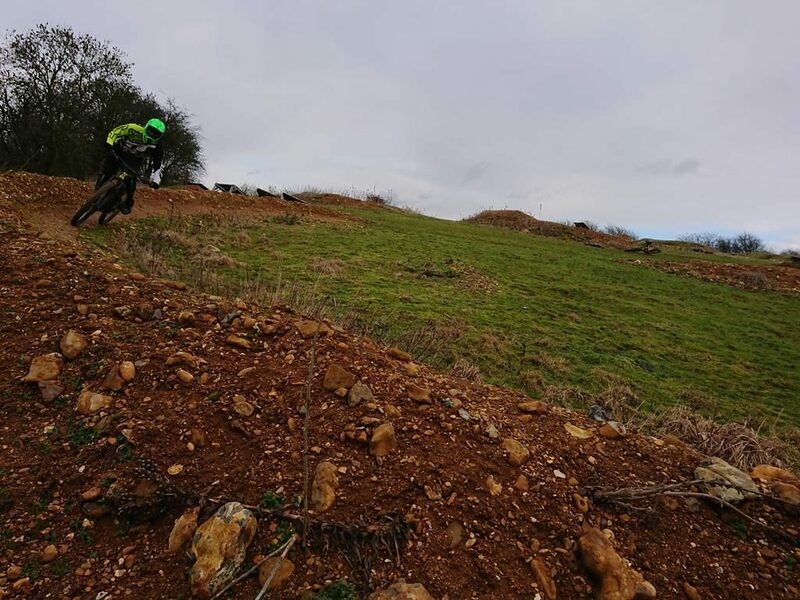 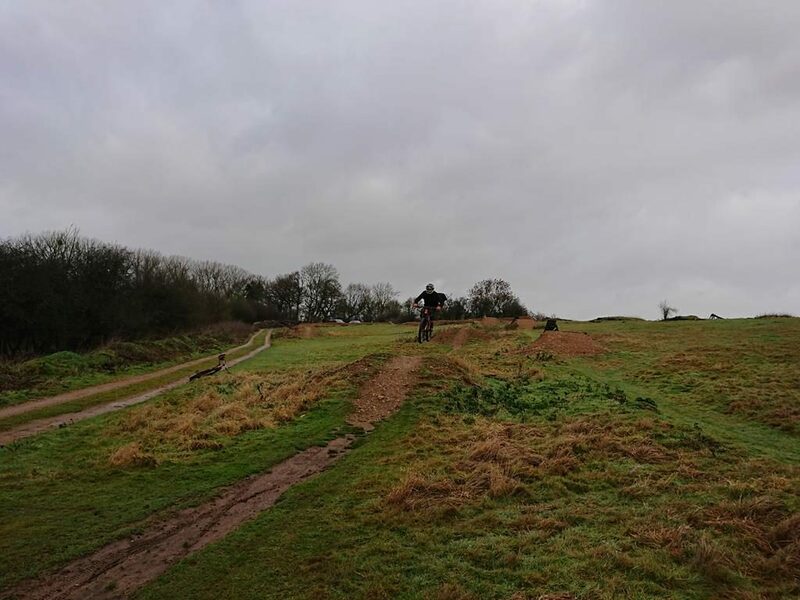 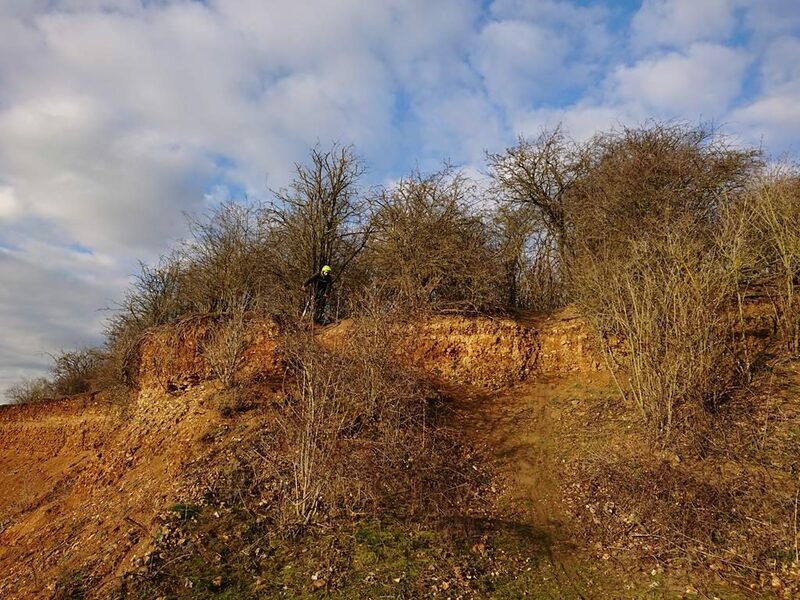 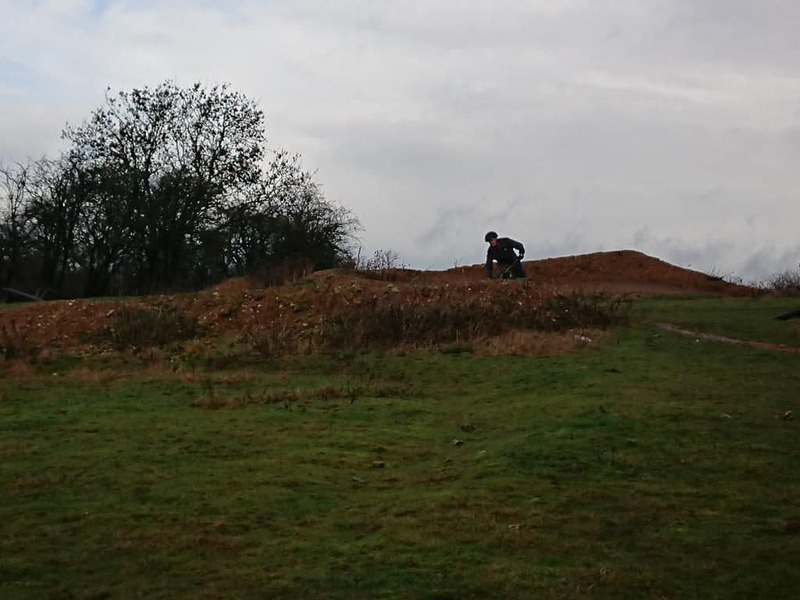 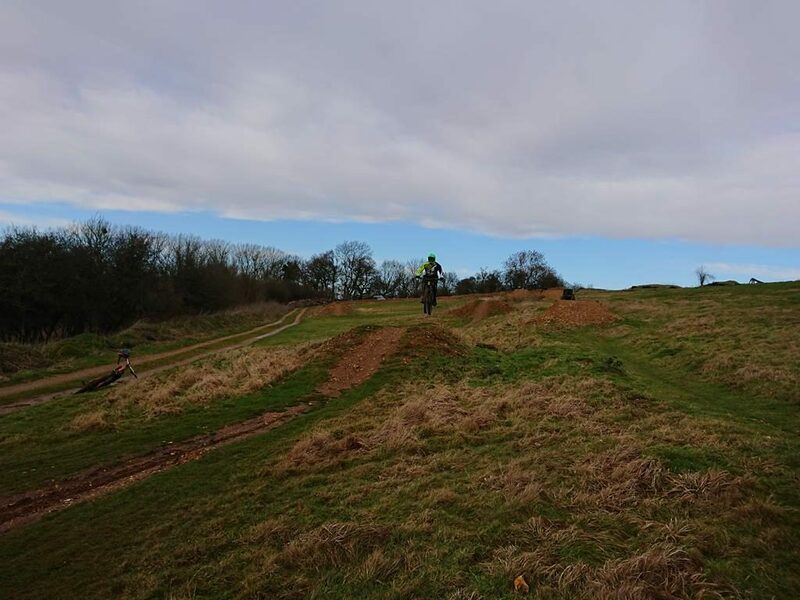 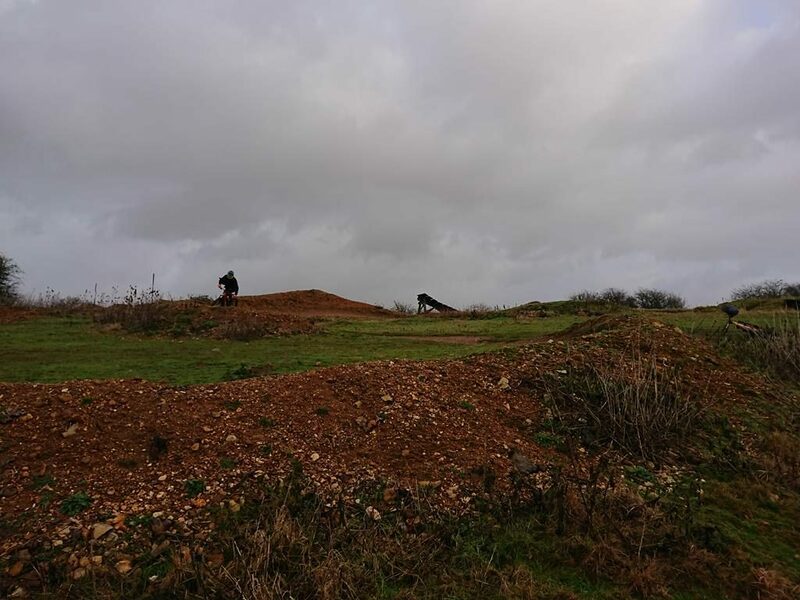 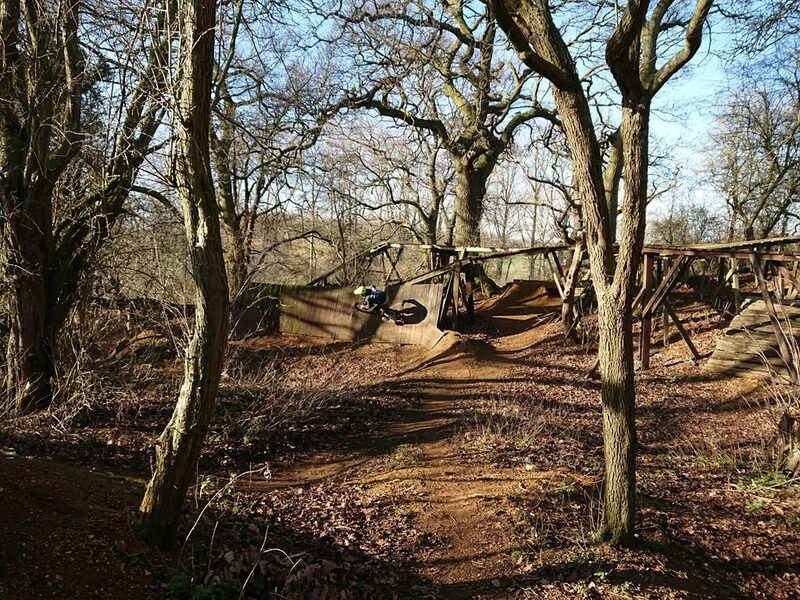 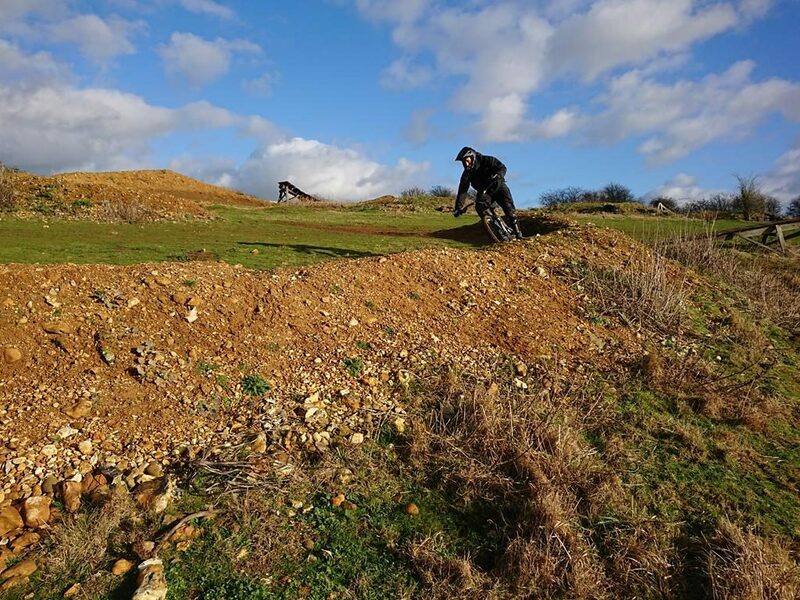 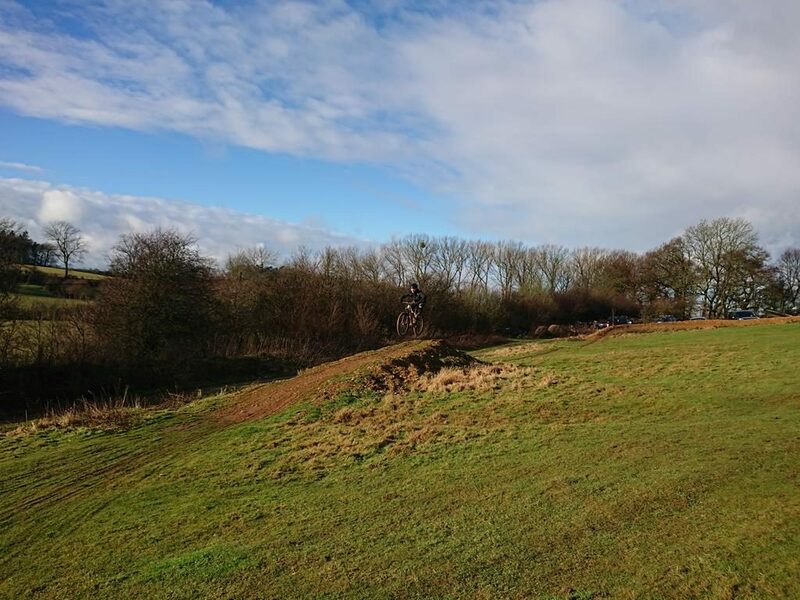 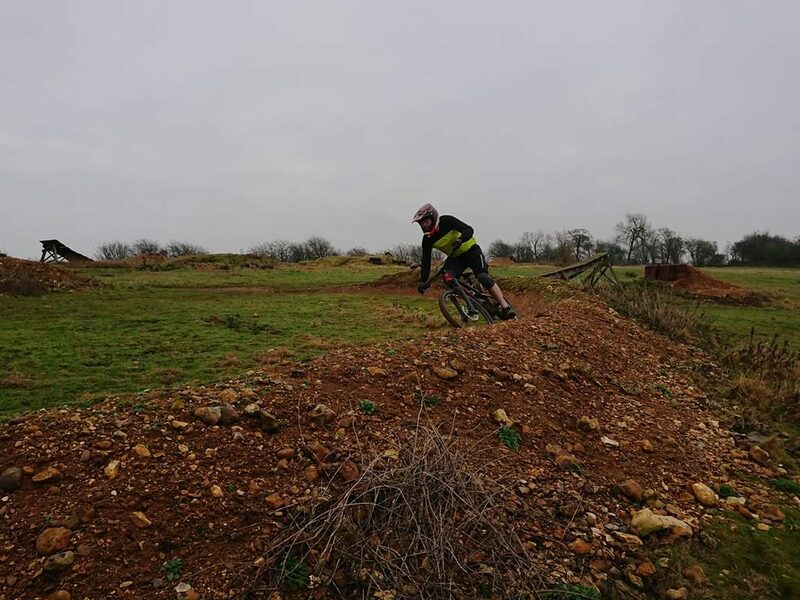 Drops, tabletops, berms and off camber corners as well as a gap jump were all ridden and any errors were self diagnosed by Lorien in a short space of time and he knew he was a better rider by far when he left. 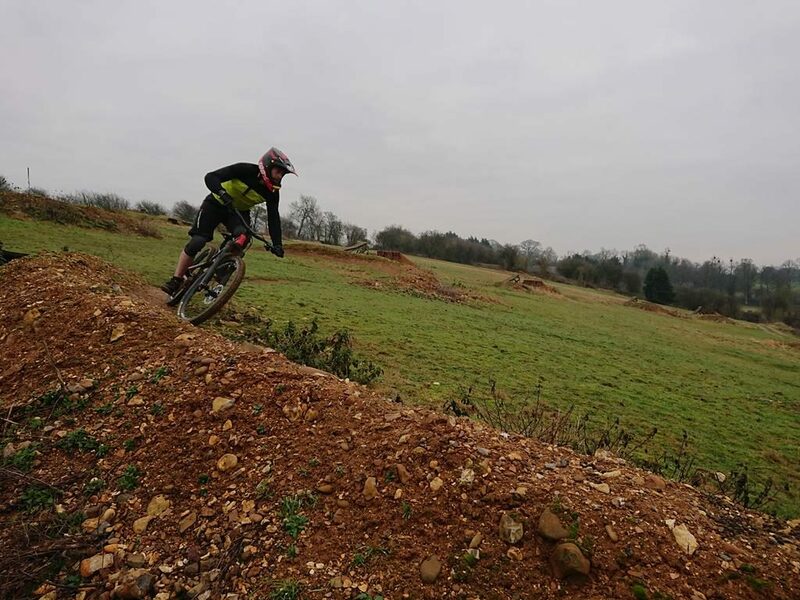 Dan was coached by myself a couple of years ago and inactivity saw him wanting to return to go over everything again and maybe move his riding on again. 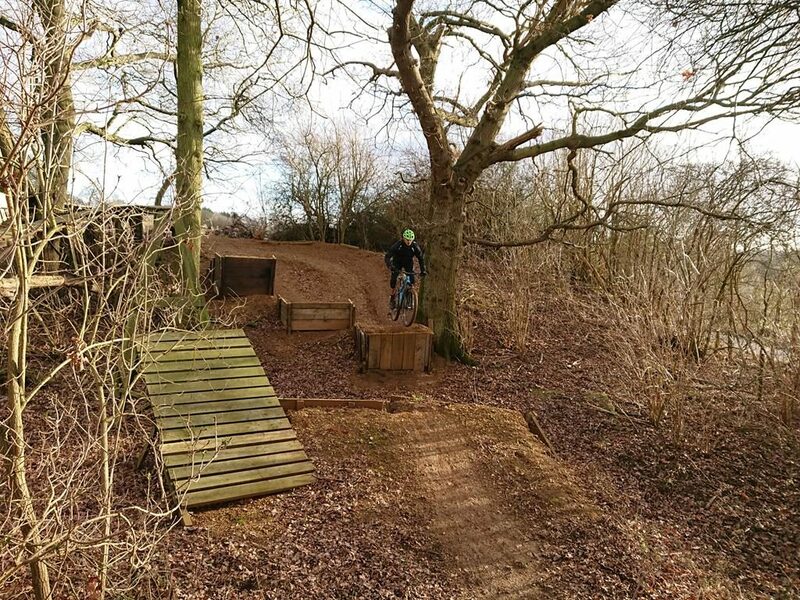 A small error with his feet on right turns and a disjointed jump technique needed correcting and then we applied the skills sets to drops, jumping tabletops and gaps, switchbacks and wallrides. 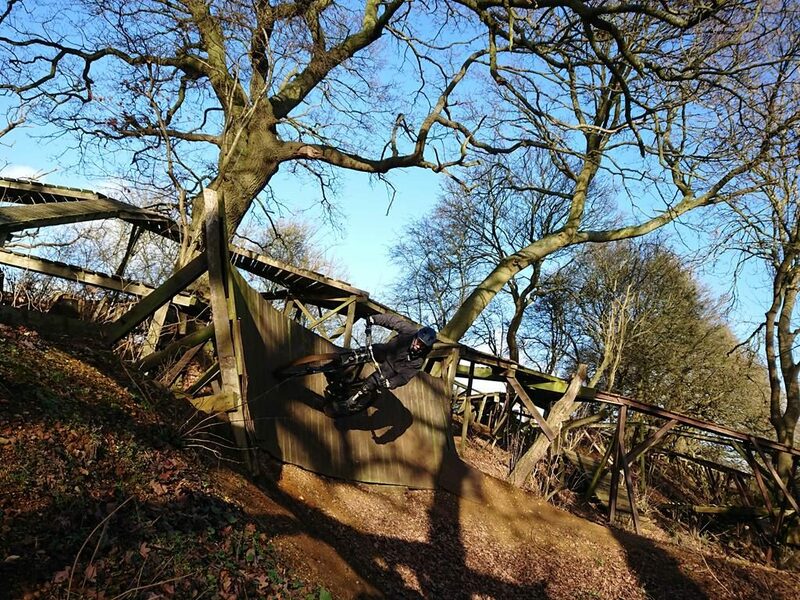 An awesome session unfolded in the winter sunshine and a very happy but tired Dan ended the session with a smile. 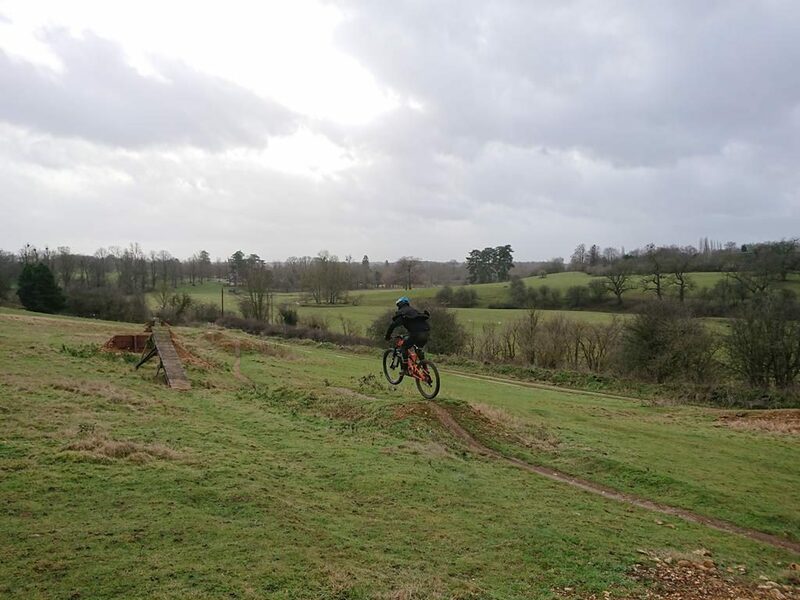 Simon, Nick and Ioannis came to myself via recommendation and I began with my skills check and set up check. 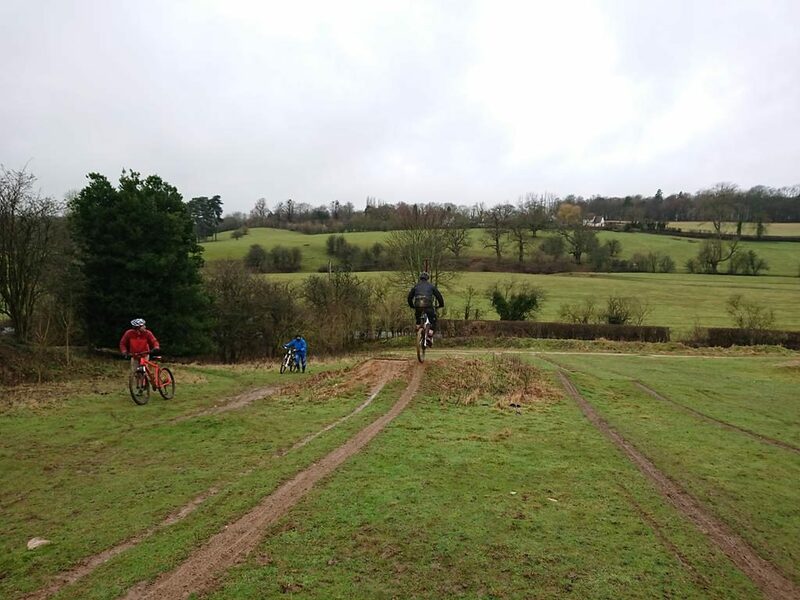 The guys wanted to get to grips with jumping kickers but it was the cornering that really took them by surprise. 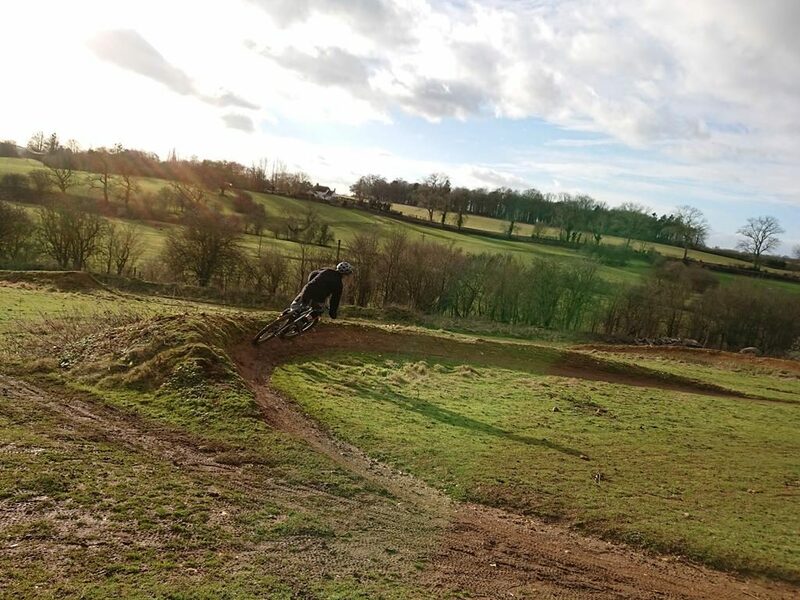 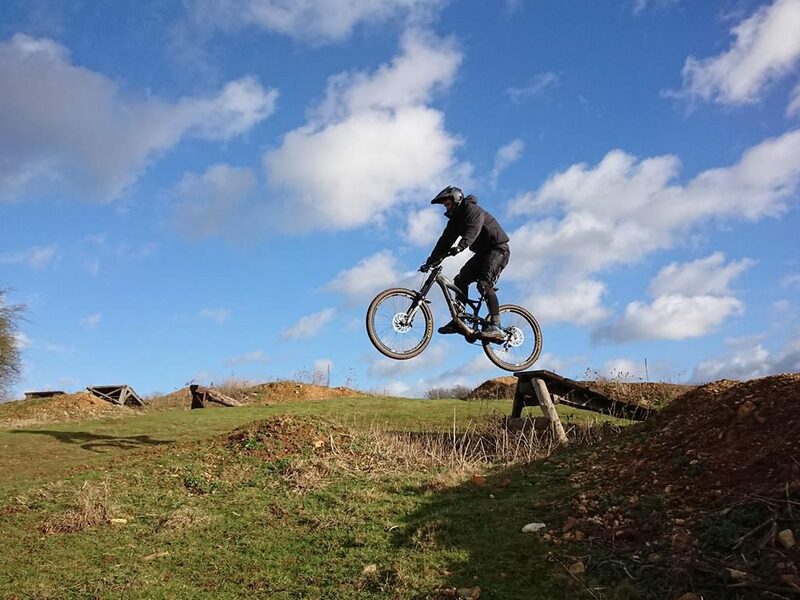 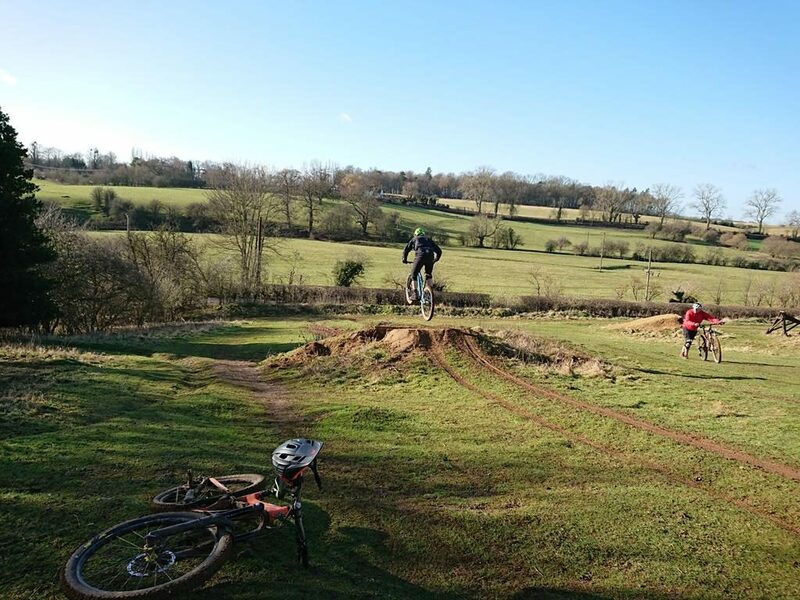 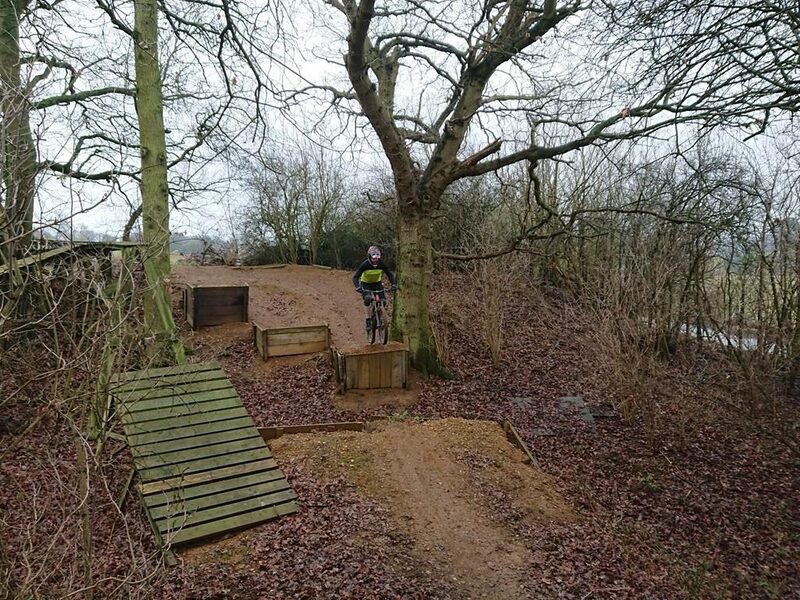 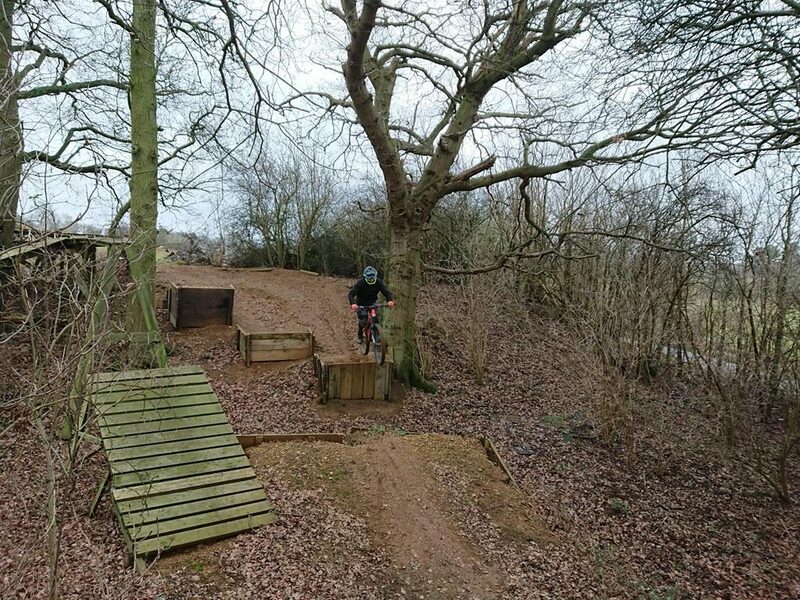 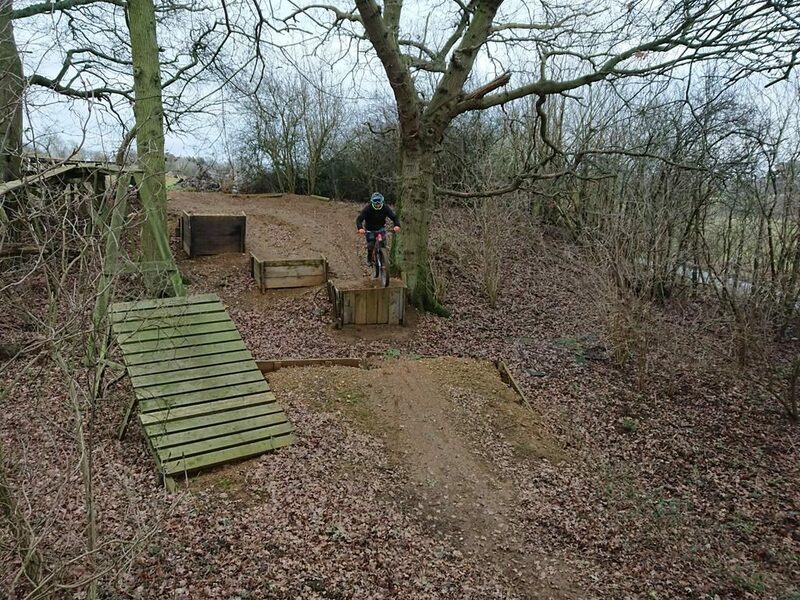 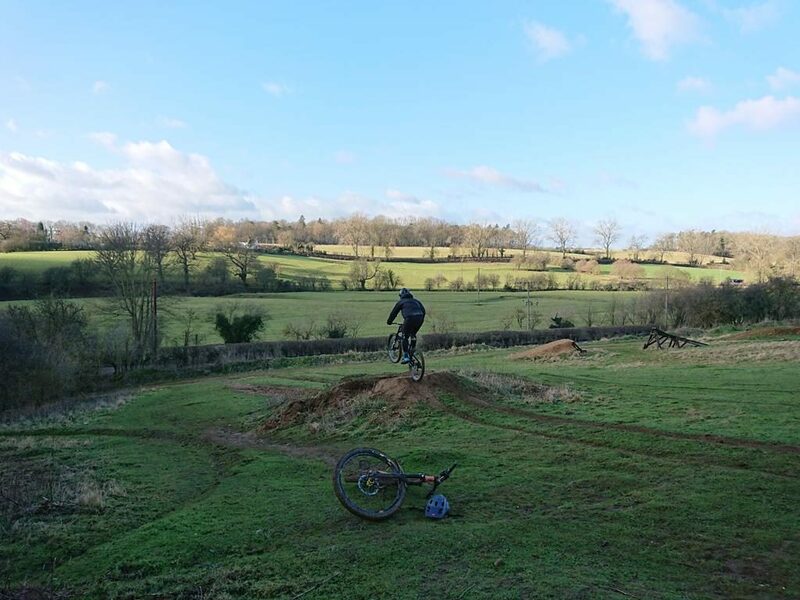 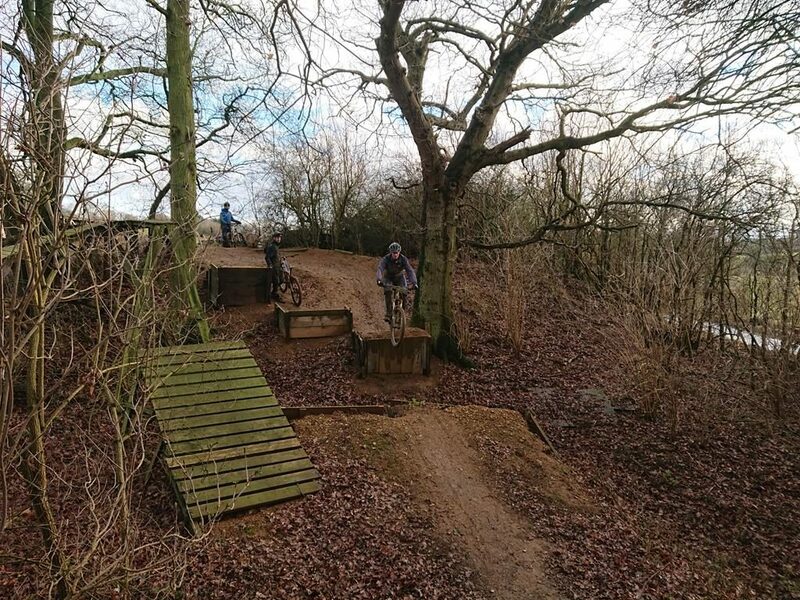 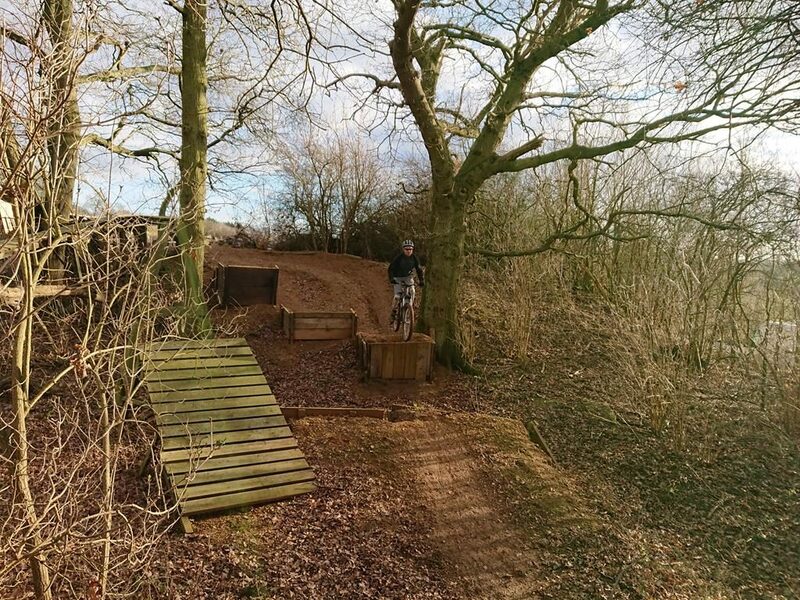 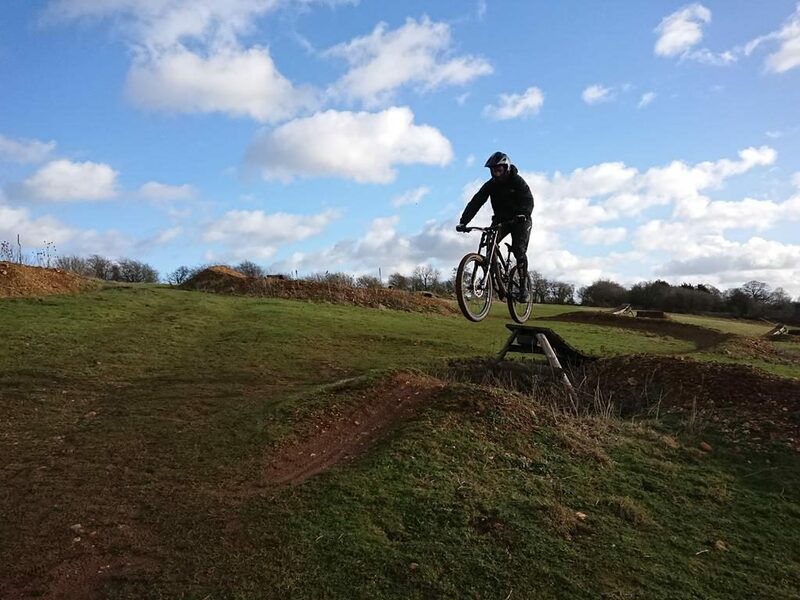 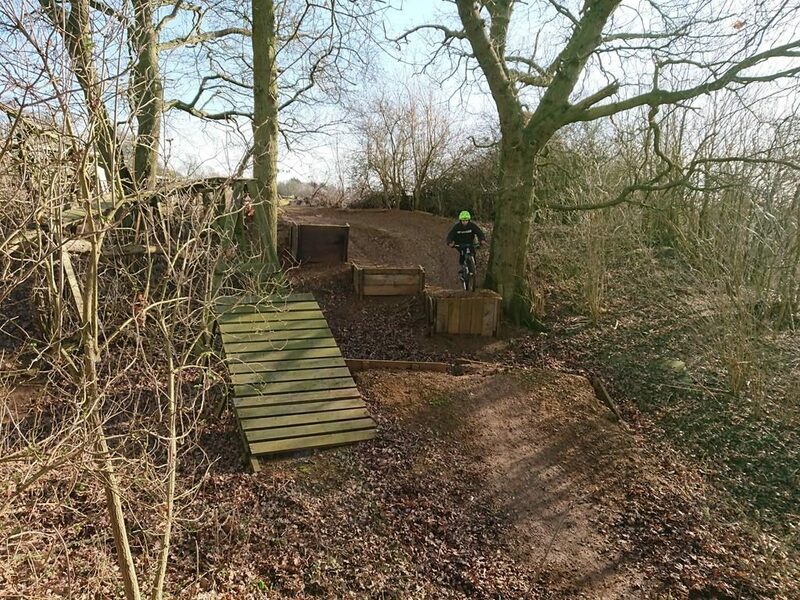 Drops, jumping tabletops, berms, and jumping gaps to 9ft were all demonstrated by myself and they used their mental skills to decide what and when to ride them. 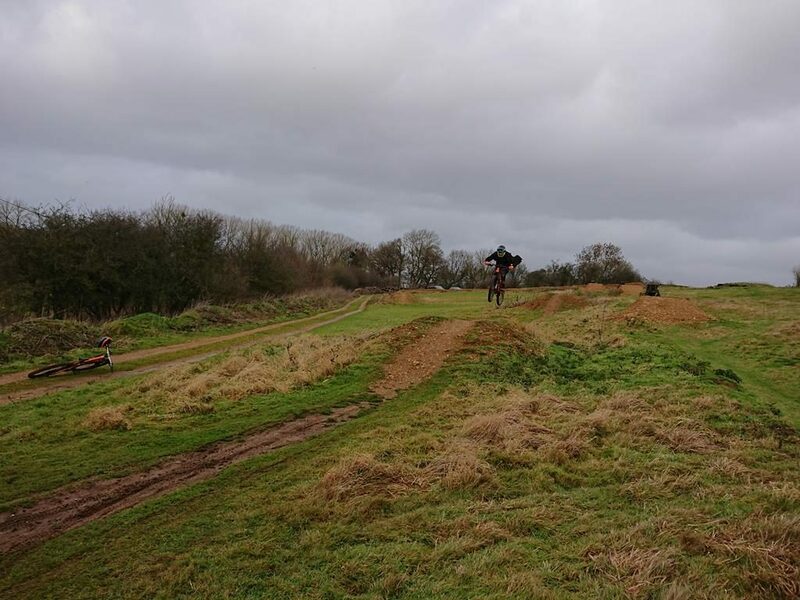 An amazing session unfolded and I am looking forward to their riding updates. 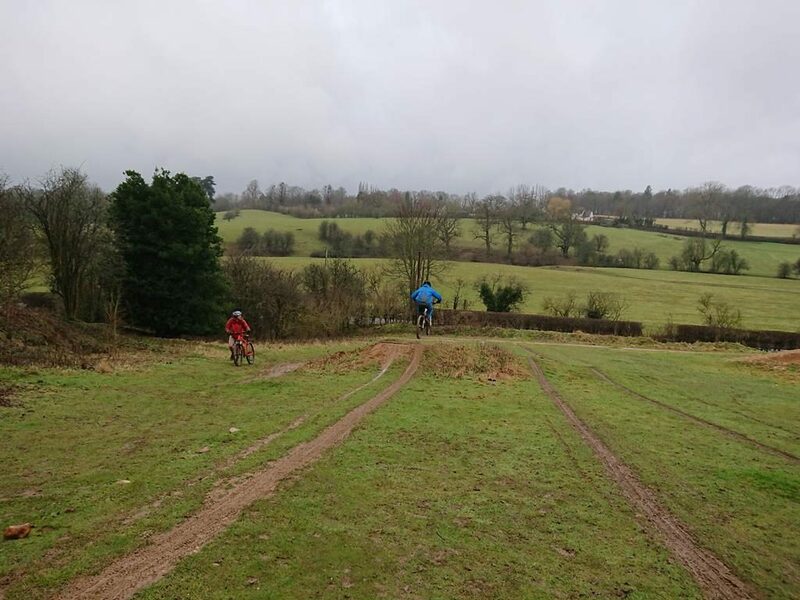 David, Simon, Stephen and Justin arrived as arranged and the skills check laid the foundation for everything that was about to change in their riding. 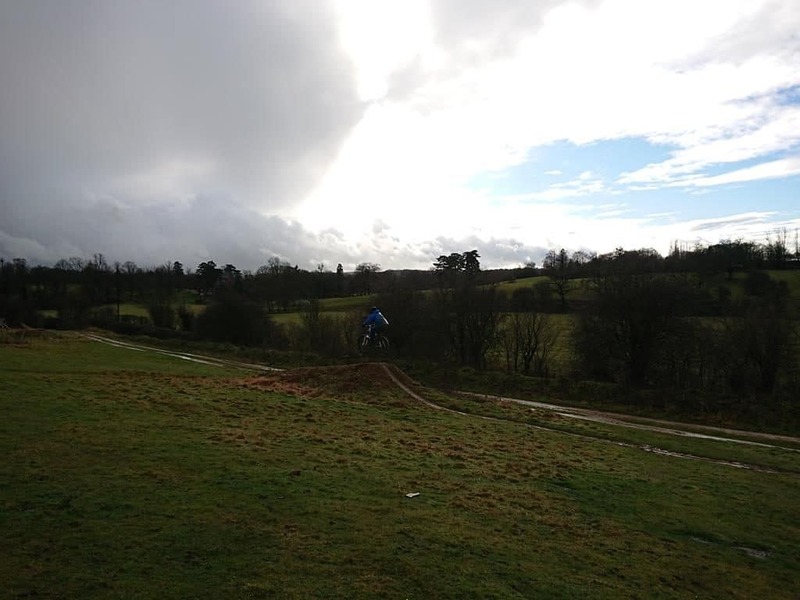 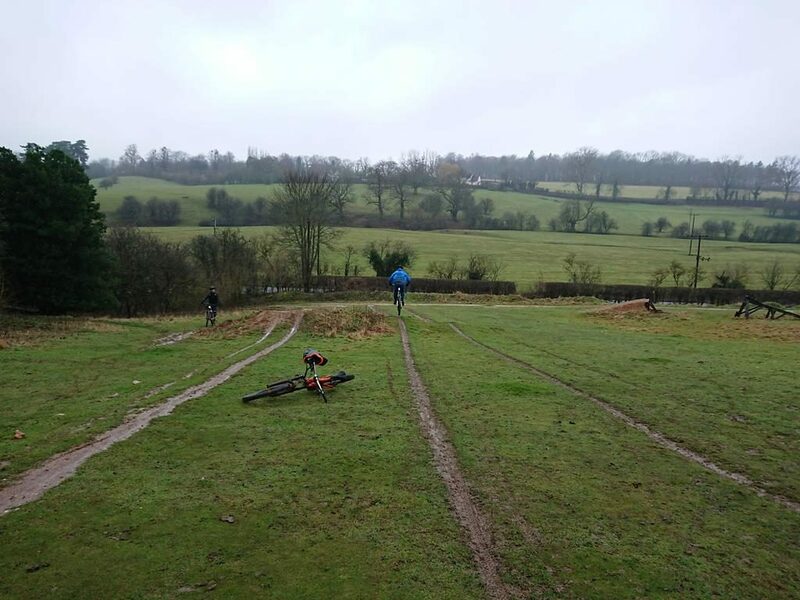 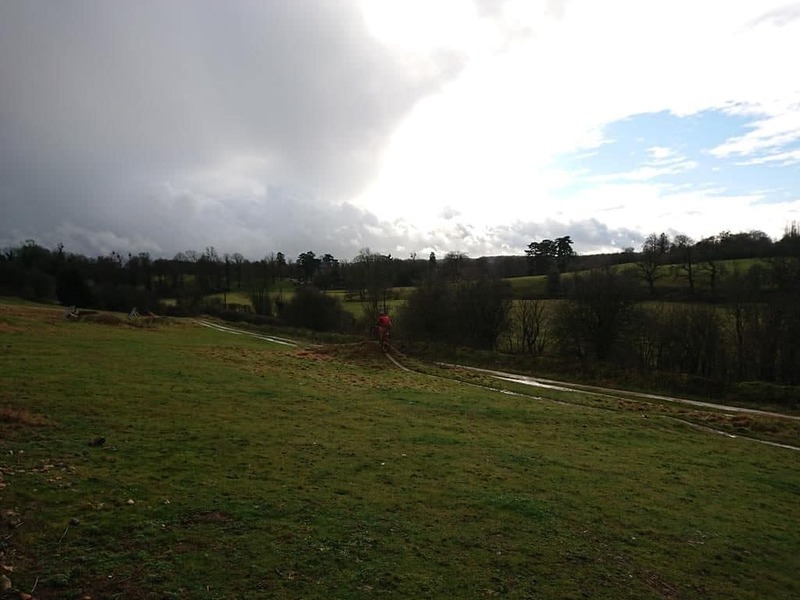 The rain eased and the wind died off leaving us to focus on applying the physical skills to drops, jumping tabletops and gaps, cornering, drop offs . 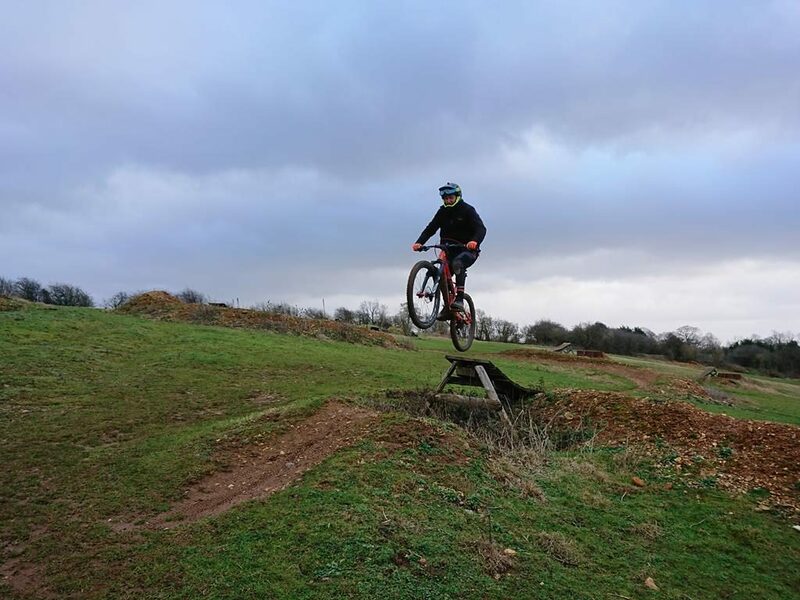 Jonny was bought a one to one gift voucher for a session with myself for xmas and today was the day. 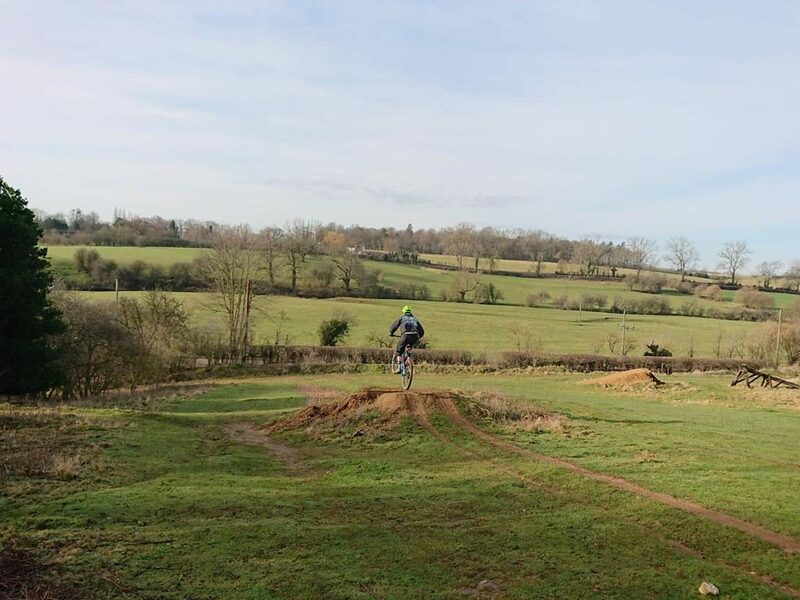 He wanted to develop his confidence in his riding but iron out any physical errors I could find too. 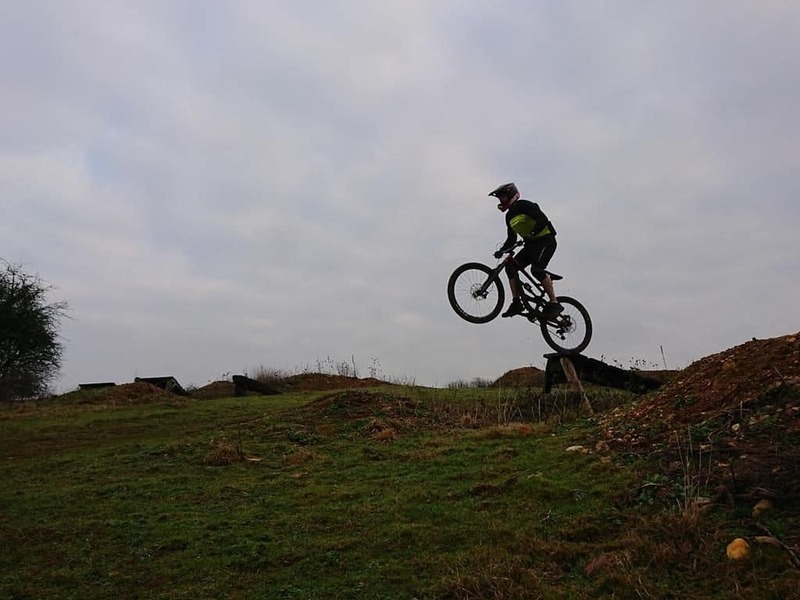 Jonny had a fear of gap jumps and his jumping was hit and miss, but said drops are ok but the skills check showed him why that was the case and I had to correct those physical skills. 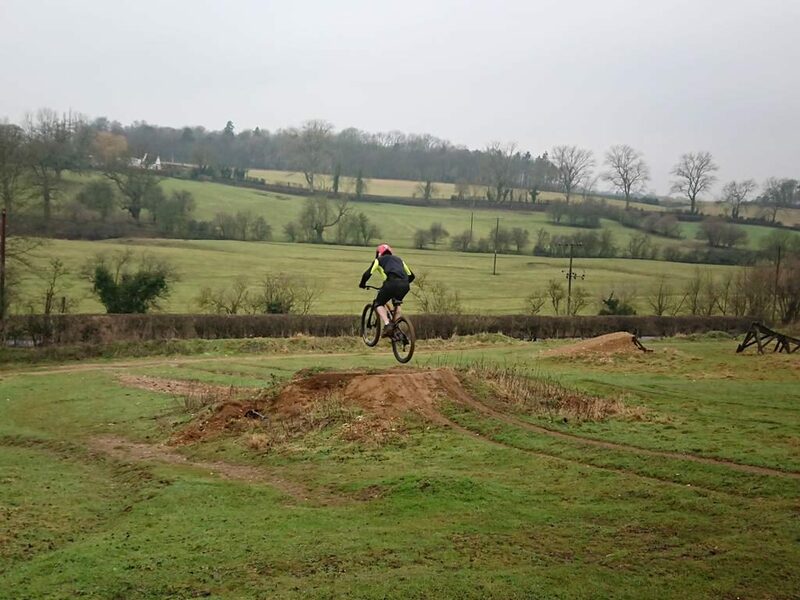 Drops, jumping tabletops and linking jumps were worked on. 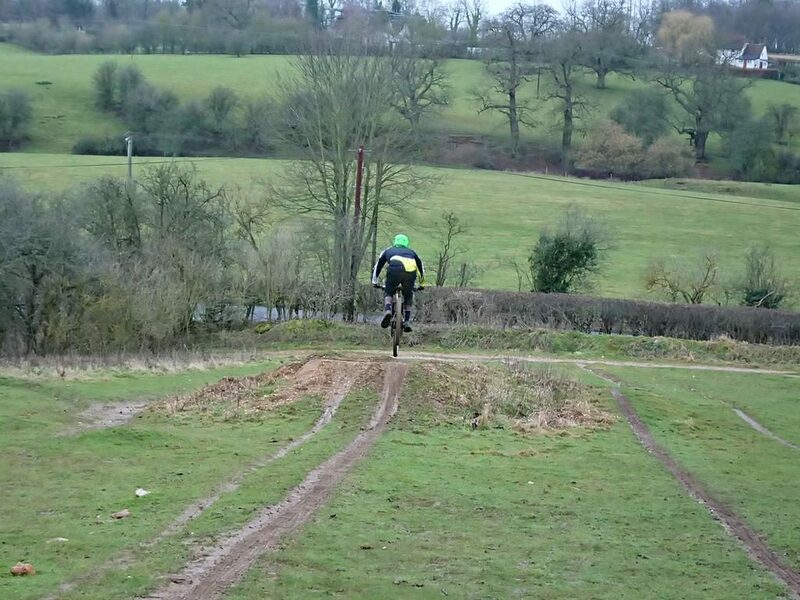 His cornering went from strength to strength as the skill set really began to embed. 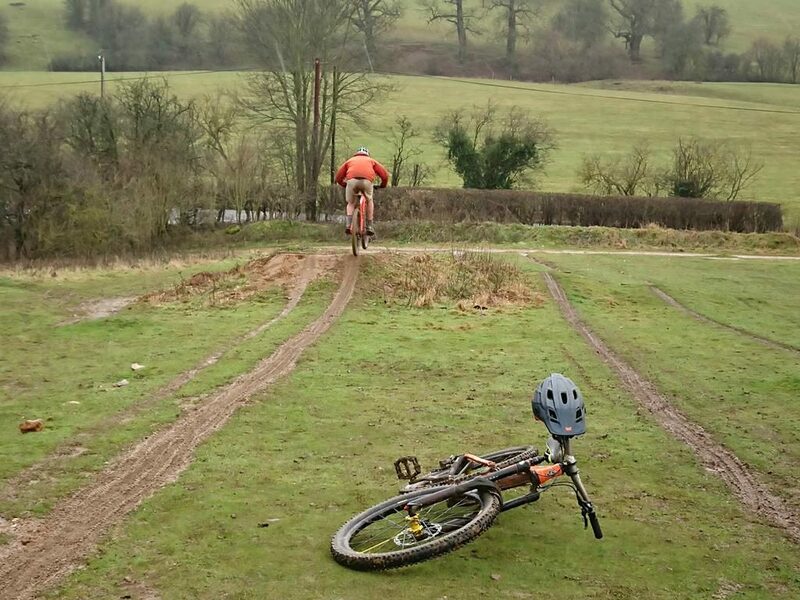 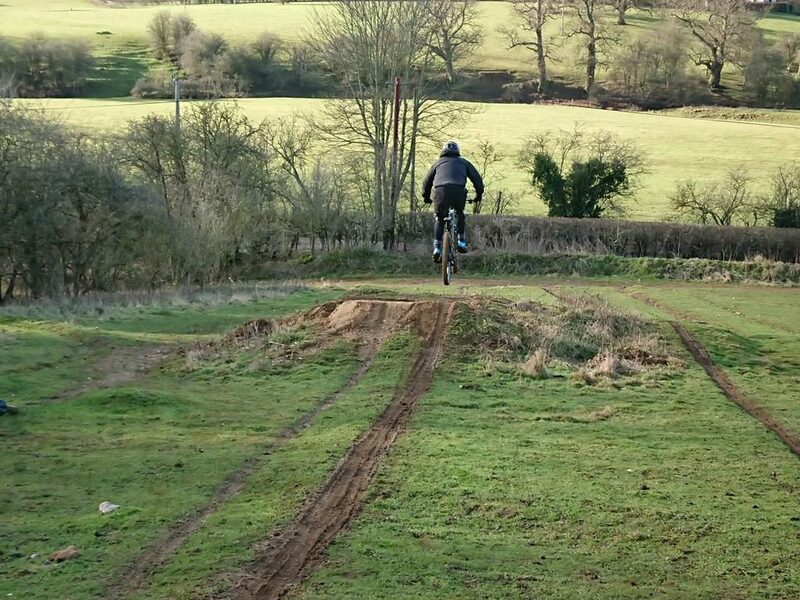 By the end of the session he was linking corners and 7ft and 9ft gap jumps too. 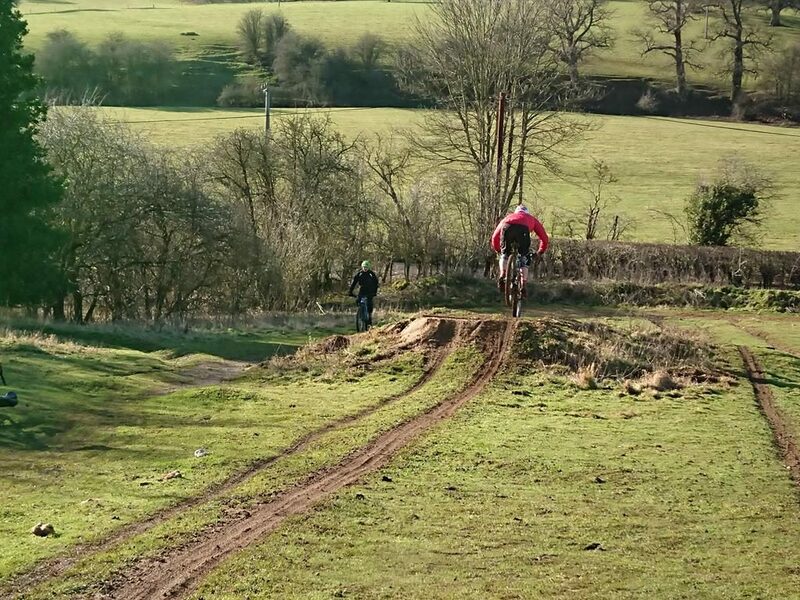 Great riding Jonny. 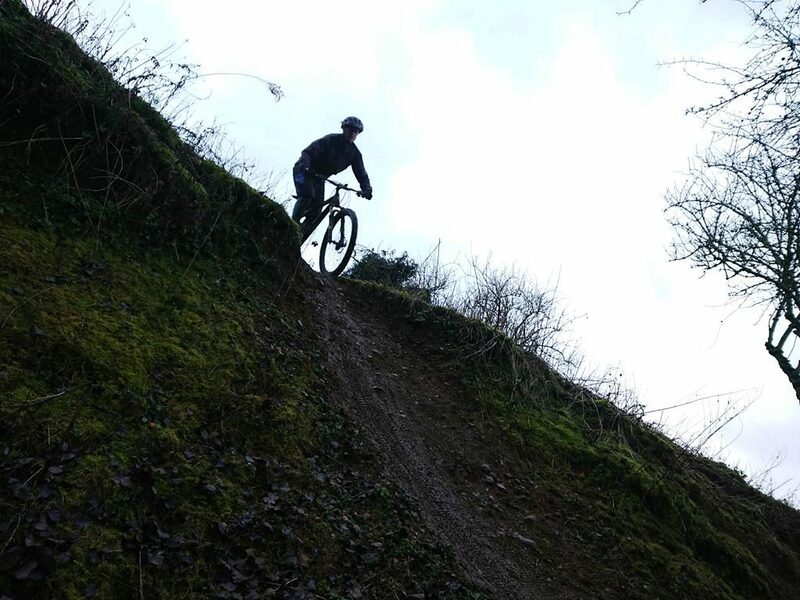 It was good to get back to coaching and today was Stephen’s one to one session. 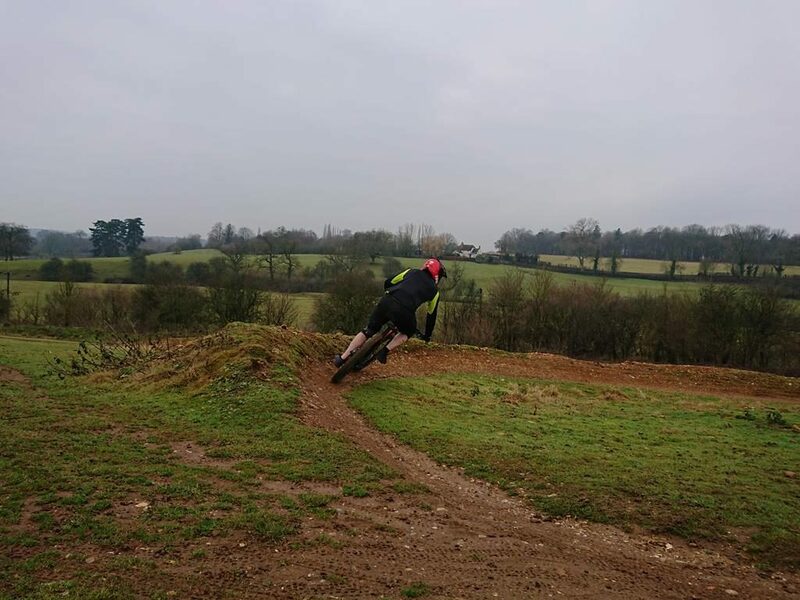 During the session I broke his physical skills down and then rebuilt his riding so that by the end he was cornering smoother and faster but also jumping further and with less speed than he’d needed before today. 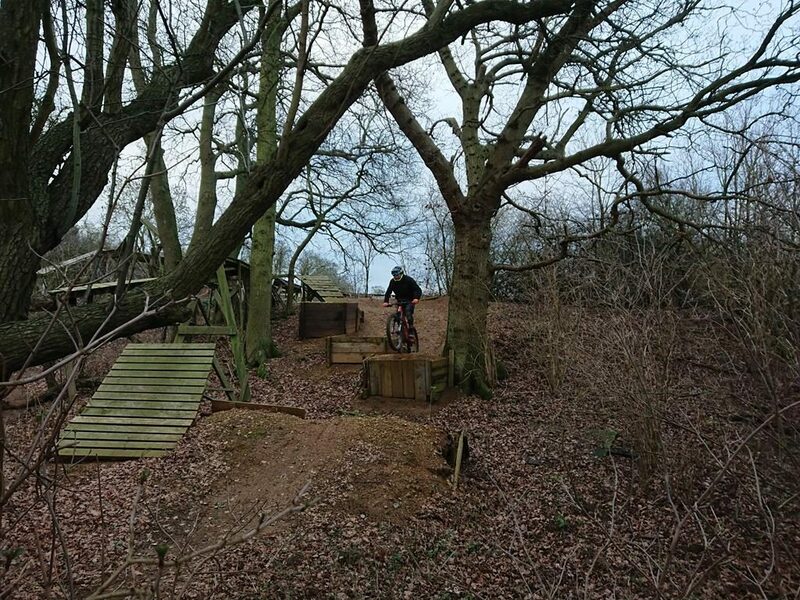 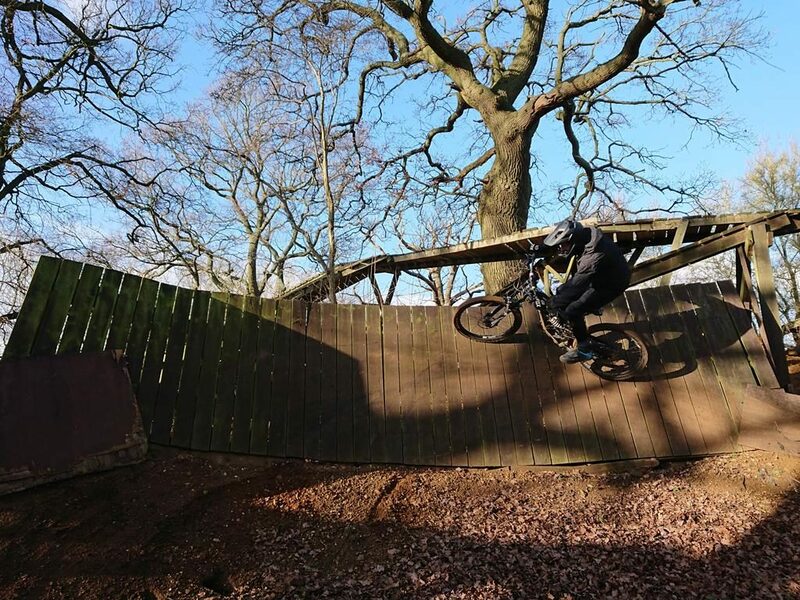 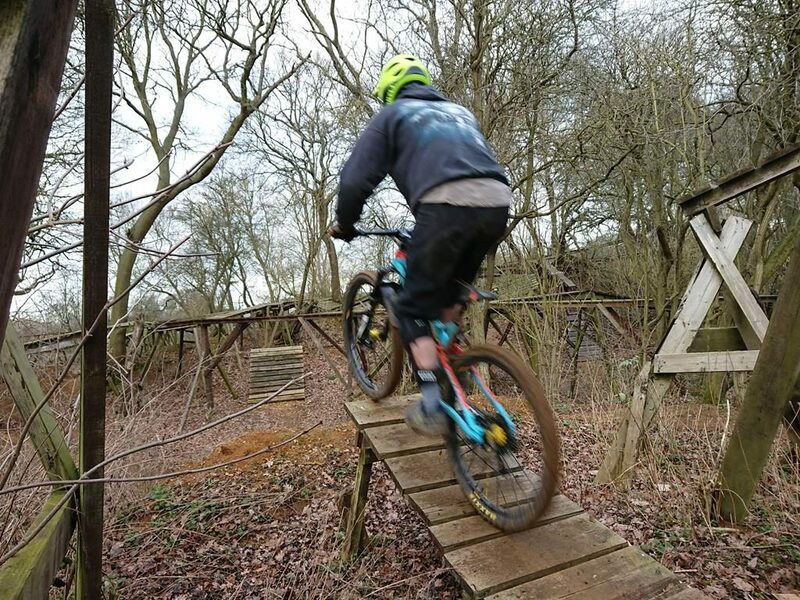 He was buzzing when riding his first ever gaps jumps too and the largest is 9ft!